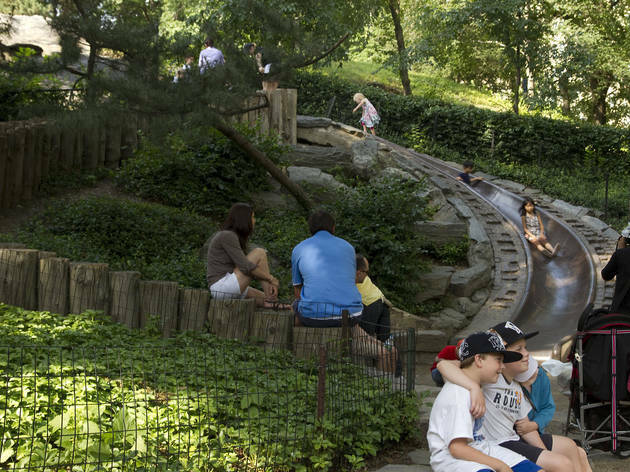 Contrary to popular belief, there are plenty of free things to do with kids in NYC. Although NYC sports some hefty price tags here and there, families can have fun without spending a dime. Believe us, it’s true! Some of our favorite outdoor activities for kids, free museum days and family attractions simply require you to show up—no cost, no hassle! A day on the Highline or visits to neat NYC playgrounds, most of which are more like pieces of art, are wonderful free activities for kids. Have a look at our top choices for a budget-friendly afternoon and start making your plans. 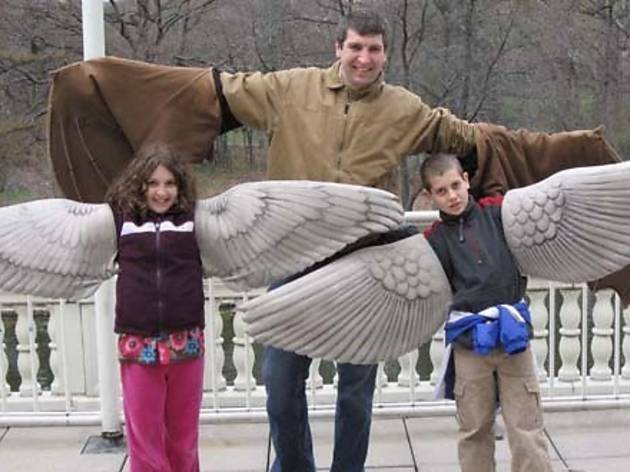 We can’t resist cool free things to do with kids, and when those things happen to be in NYC, they’re all the more sweet! 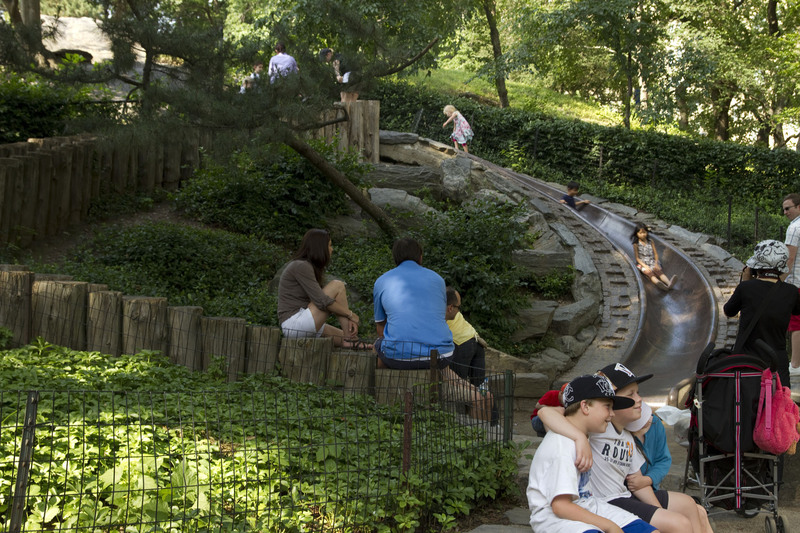 Here in NYC, playgrounds are the backyard our urban kids will never have. They offer a safe place for children to explore, climb, play games and even escape to faraway lands for an imaginative adventure. They’re more than just play structures, slides and swings—they’re a great spot for kids and parents to make new friends, and for families to congregate. 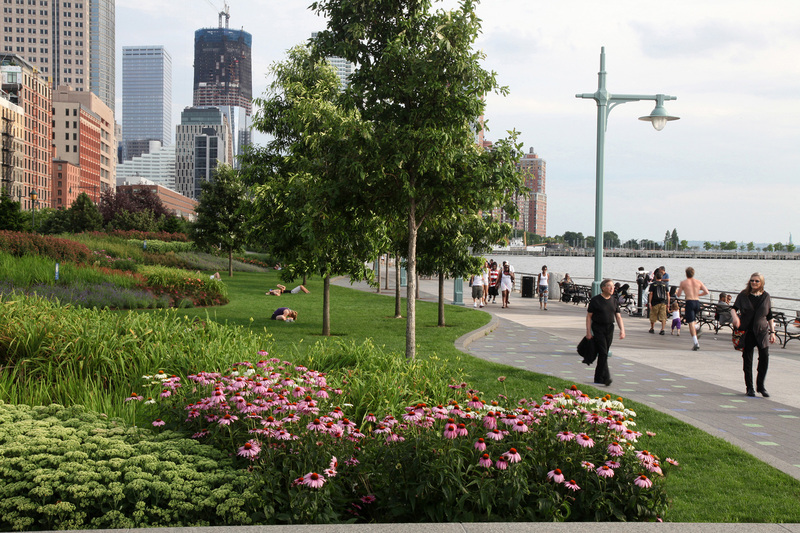 Be sure to visit newer additions, such as the Chelsea Waterside Park Playground and Domino Park Playground. 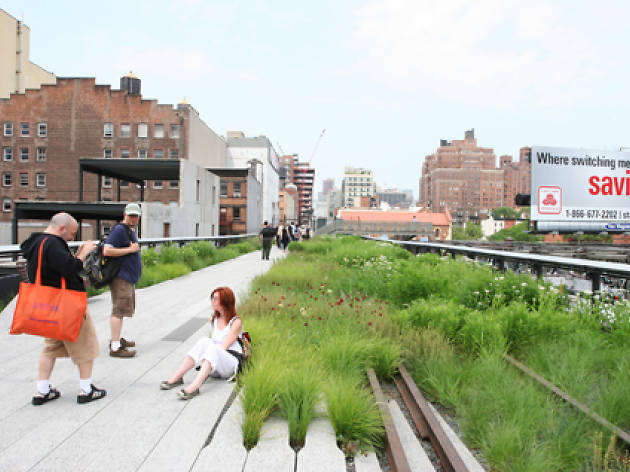 From the famed Haunted High Line Halloween to exciting outdoor summer programming for kids, the High Line is really the place to be year-round. Commit to a long loop to check out the sights, plants and cool public art and explore fun programs for kids in July and August such as Lawn Time story telling or crafts during Wild Wednesdays. How are you supposed to celebrate each season accordingly without attending NYC's best kids' festivals? You simply can't! 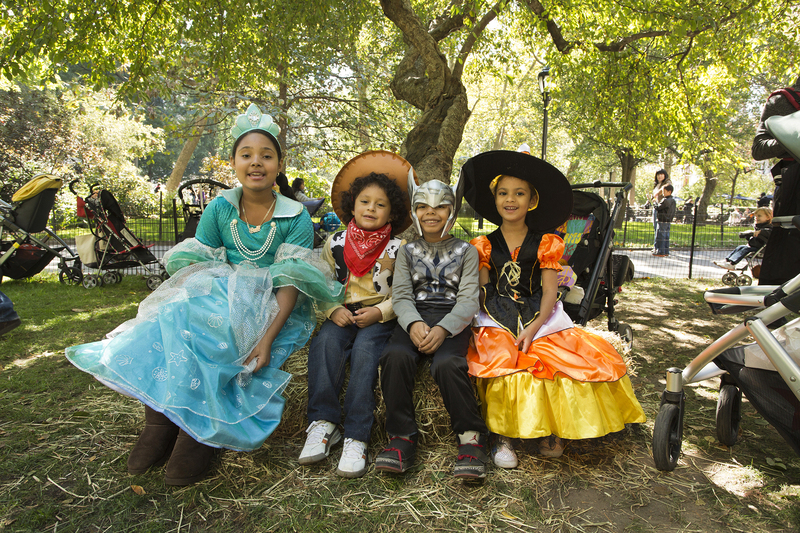 Head to these recurring fairs throughout the boroughs. 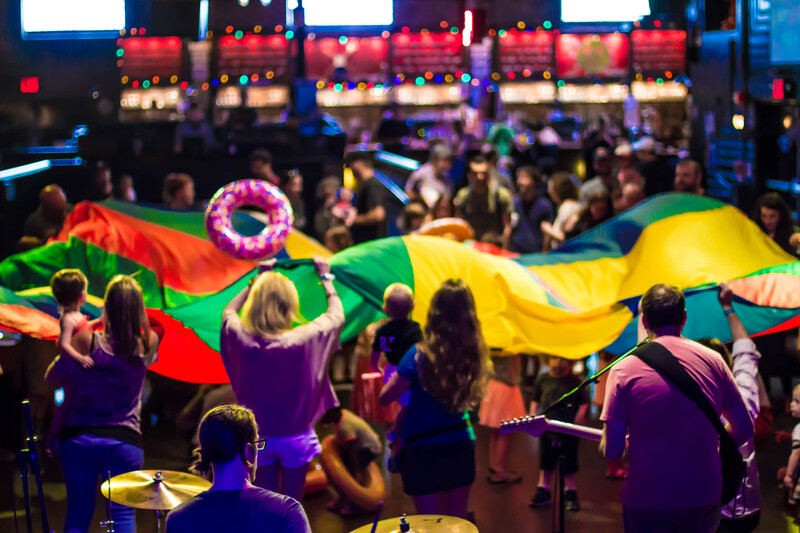 With great food, fun activities and unique entertainment, there's no excuse to miss out. Even better? Most of the events are free of charge. 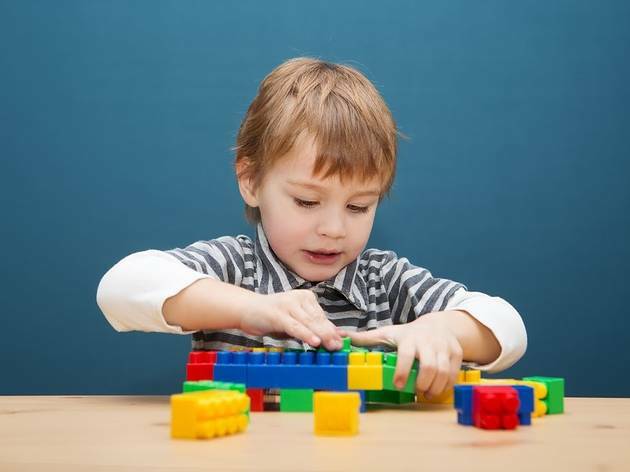 Kids are reaping the benefits of living in the five boroughs. Now, NYC residents as young as 10 years old will be eligible for municipal IDNYC identification card. Previously, residents as young as 14 years old were able to obtain the card. 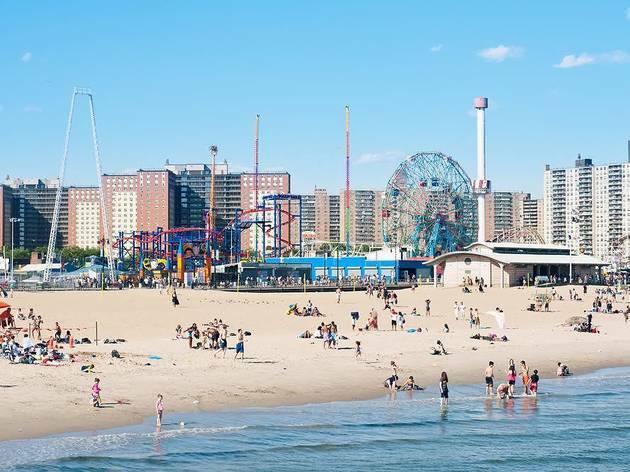 Now that this change has gone into effect, up to 300,000 more youngsters can apply for the i.d., which provides discounts to attractions, movies and free one-year-memberships to various NYC hotspots. 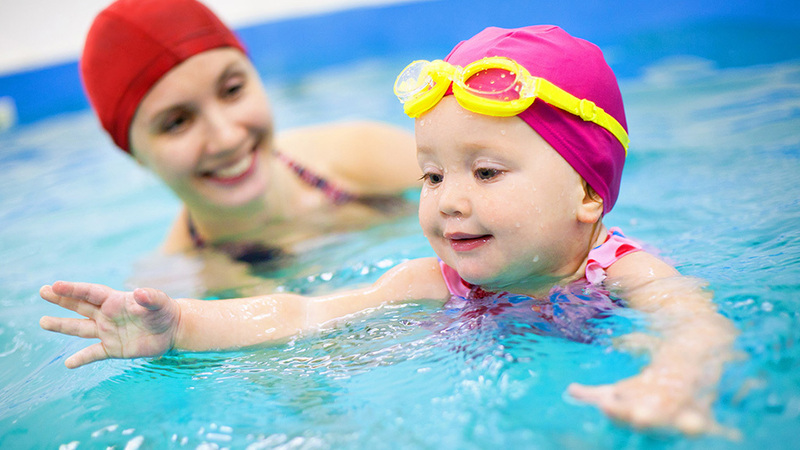 Looking for ways to keep your family active? 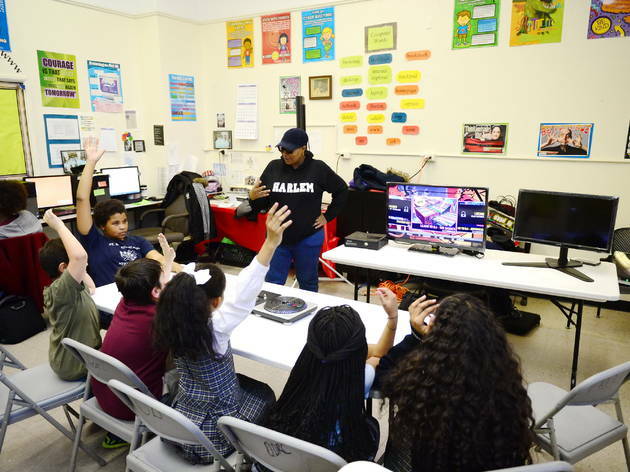 NYC's best free programs for kids examine different fields in a fun, relaxing environment where youngsters can conquer unchartered territory and meet other little New Yorkers in the process. 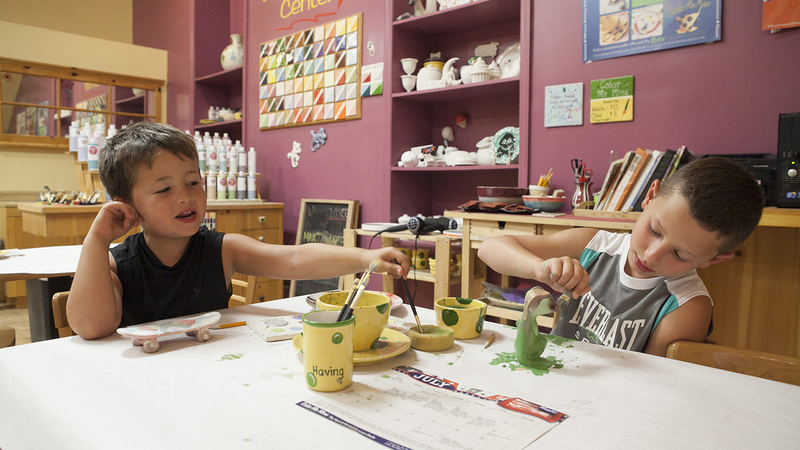 No matter the area of interest—art, sports, tech, the environment—these free classes for kids cover a ride array of subjects that will spice up any day of the week. Added bonus? Parents won't have to shell out the big bucks for an epic experience. 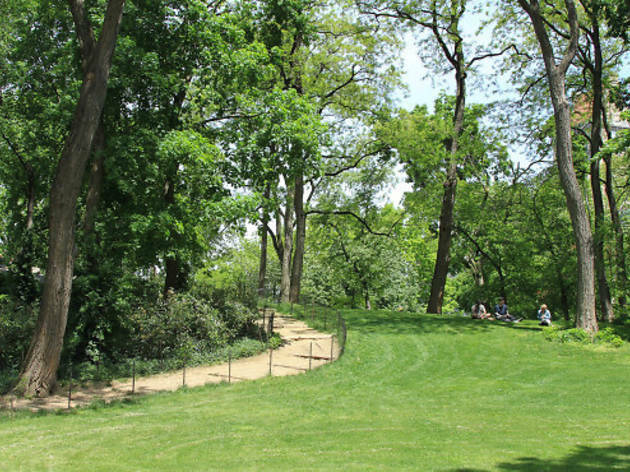 Celebrate the city’s natural classroom with NYC Parks’ earth-inspired celebration. This year, families can partake in activities from April 22–26, including Geology Rocks! (where kids can play geologist for a day), Insect Exploration (where you’ll search for all kinds of interesting critters) and Recycling Crafts, just to name a few of the activities on offer. See the full schedule of activities here. 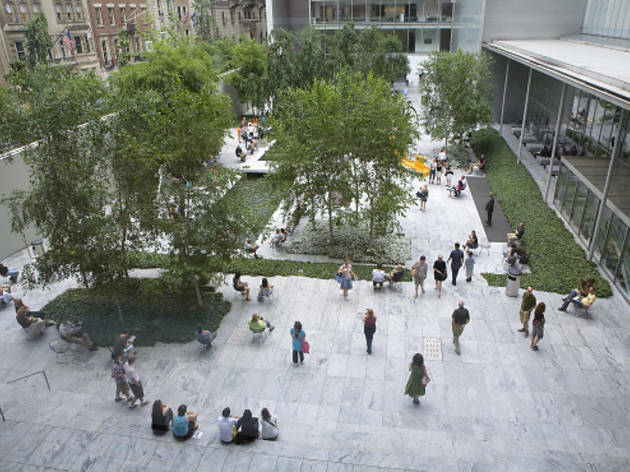 MoMA's "A Closer Look for Kids"
No need to pay during the A Closer Look For Kids family program at MoMA—individual families of up to two adults and up to three kids can participate in a variety of activities on Saturdays and Sundays—and what's better than that? Mini movie buffs will also rejoice: Family Films are also free. For scheduled activities and screenings, be sure to get a ticket, distributed on a first-come, first-served basis at the Education and Research Building reception desk starting 10am. 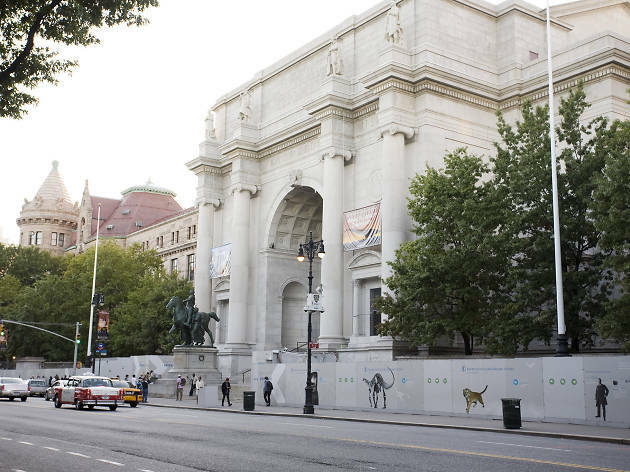 Though this famous New York museum offers suggested donation admission year round (and you’re inclined to pay at least a little something—because dinosaurs! ), its lesser-known Discovery Room offers totally free access for families. Get your 40-minute access passes at the Discovery Room entrance! Inside, your kids can explore their way through various scientific exhibits that include displays, artifacts and hands–on activities. Track earthquakes in real time with a seismograph, peer into a tiny world through a microscope, touch real fossils and minerals or explore a two–story replica of the African baobab tree. 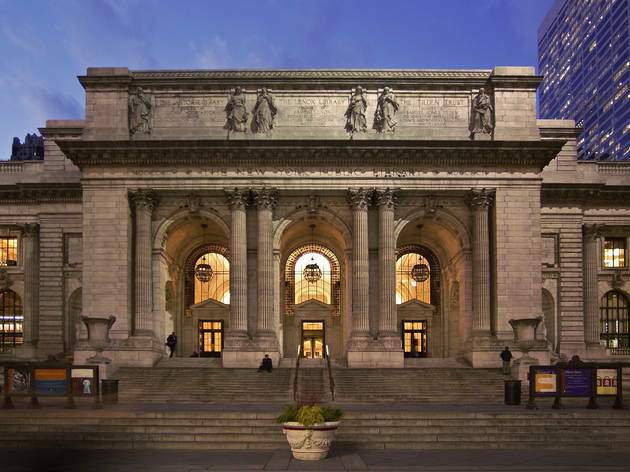 Head to NYPL for Toddler Storytime, Family Storytime and other offerings! During Toddler Storytime (free tickets required), little ones from 18mos–3 years can enjoy interactive stories and songs, while librarians read children’s books with children ages 3–8 at Family Storytime. There are plenty of other offerings too—including craft and LEGO workshops! This is one event parents might enjoy just as much as the kids...maybe even more so. 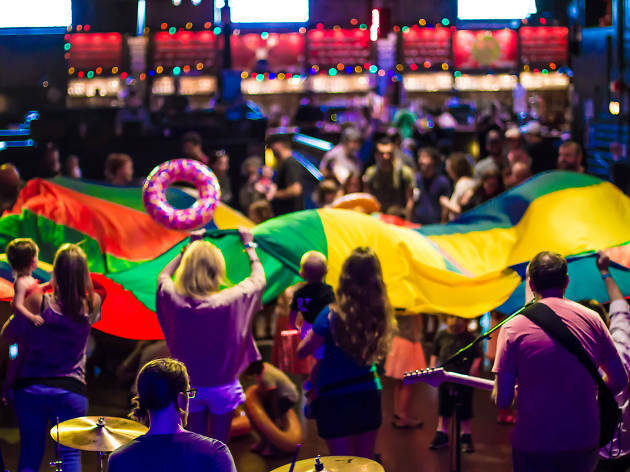 Rock & Roll Playhouse is a family-friendly concert series that introduces littles to the greats—The Beatles, Queen, U2, to name a few—as the house band plays some of the most popular tunes. 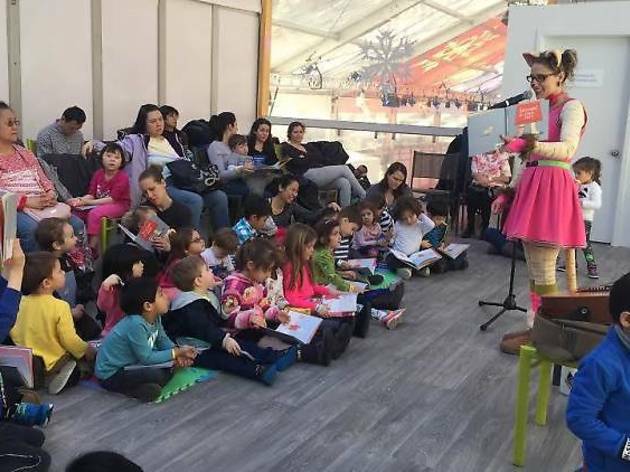 The weekend happening adds a few kid-friendly elements such as stories and crafts to make the program extra epic. 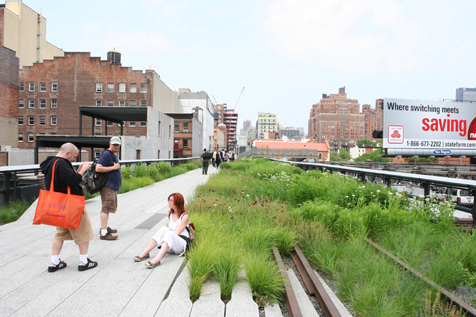 All events in Industry City (Saturdays at 12:30pm) are free, but tickets are required. Shows at Brooklyn Bowl (Sundays at noon) are $12. Head to the event's website for a full lineup. 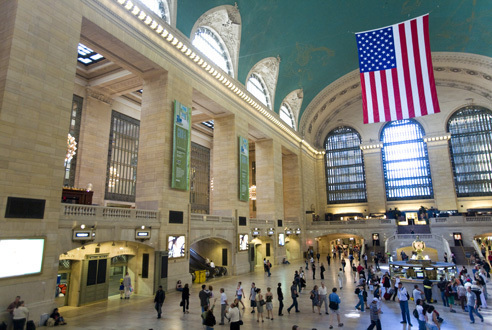 Few things are more iconic than New York's Grand Central Terminal. Families can gaze at it's incredible ceiling (the constellations on the Main Concourse ceiling are drawn in reverse, as if seen from heaven), plus there's actually a free guide for things to check out here. 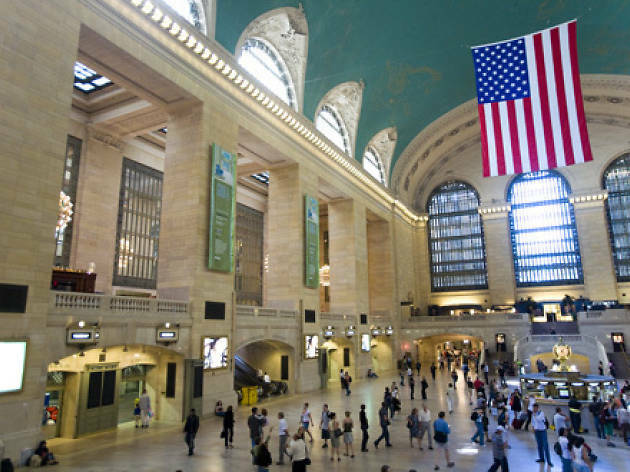 With its many restaurants and shops, Grand Central Terminal is as much a destination as it is a transit hub. Kids fascinated with NYC’s transit system—including tunnels, trains and buses—will love learning even more about our city’s history at the New York Transit Museum Gallery Annex. It’s a free offshoot of the larger museum in Brooklyn (which is also, might we add, worth the trek). Find the museum just off the main concourse in the Shuttle Passage. When you’re done exploring, head to the food court for burgers at Shake Shack or a slice at Junior’s Cheesecake. 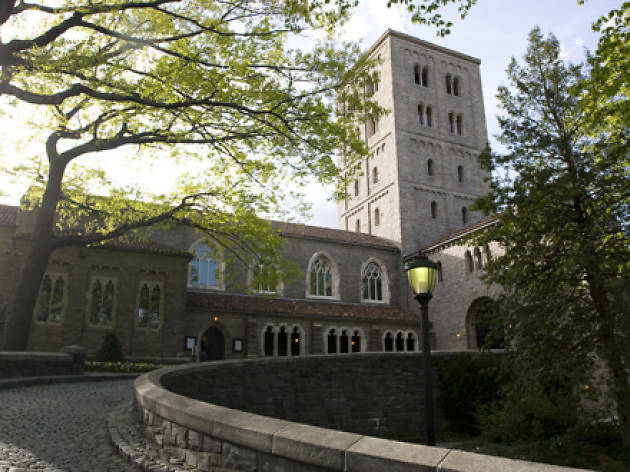 You’ve likely explored the halls of the Met with the kids more than once, but have they been to see the museum’s Medieval art and architecture collections, tucked away at The Cloisters? The peaceful grounds, nestled in Fort Tyron Park, are open seven days a week, year-round, and children under 12 always get in free (adults have suggested admission). The grounds have a medieval feel themselves and are the perfect spot for a serene stroll, whether in sun or snow—be sure to peek at the famous Unicorn Tapestries! Last, in warmer temps, we'd recommend packing a picnic. If you bring food with you to enjoy in the gardens pre-museum visit (food is not allowed inside the museum), you'll leave without spending anything at all! We're so excited! Smithsonian Magazine Museum Day (previously known as Museum Day Live!) is a great time indeed for New Yorkers big and small. 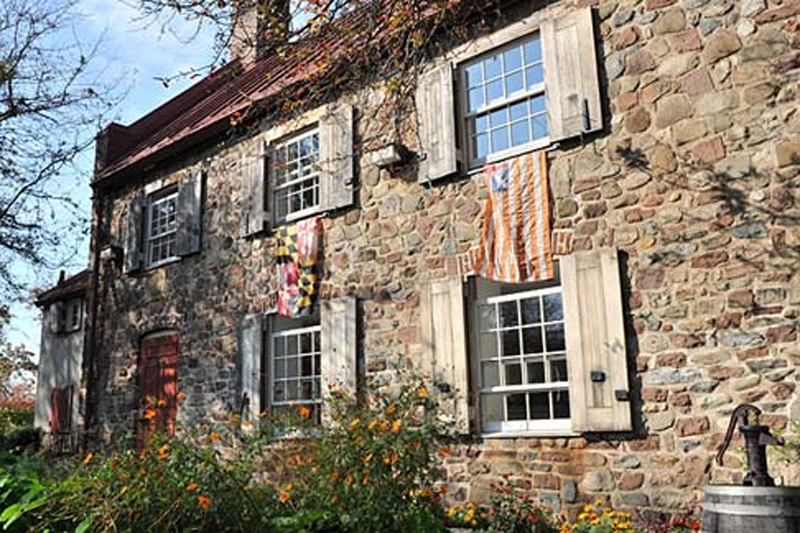 Check the event website regularly for the 2019 ticket release date (usually in August) to score and download two free tickets that can be used for free entry to a variety of participating local museums. To sum things up: Put those hard-earned dollars back in your wallet and splurge later on some cheesy slices. 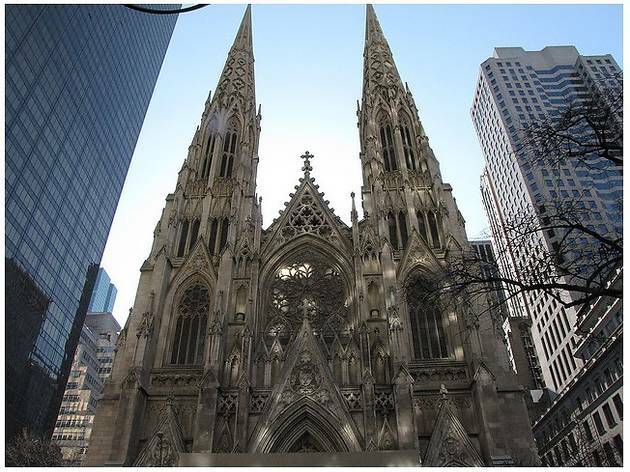 Surely you’ve admired the stunning Gothic Revival exterior of this NYC landmark—now, venture inside for a free educational tour. 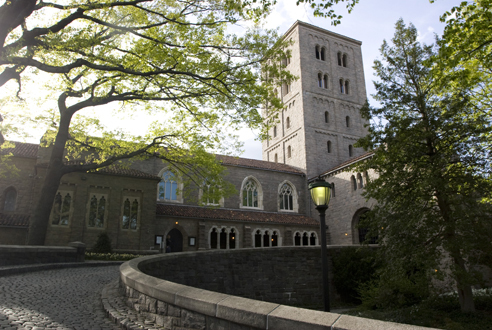 Check the Cathedral’s website for specific tour guide schedule information. Additionally, if you want to go it alone, you can download The Story of America's Parish Church: St. Patrick's Cathedral, a self–guided audio tour app that’s also available on handheld devices at the church. There’s even a version specifically designed for children. 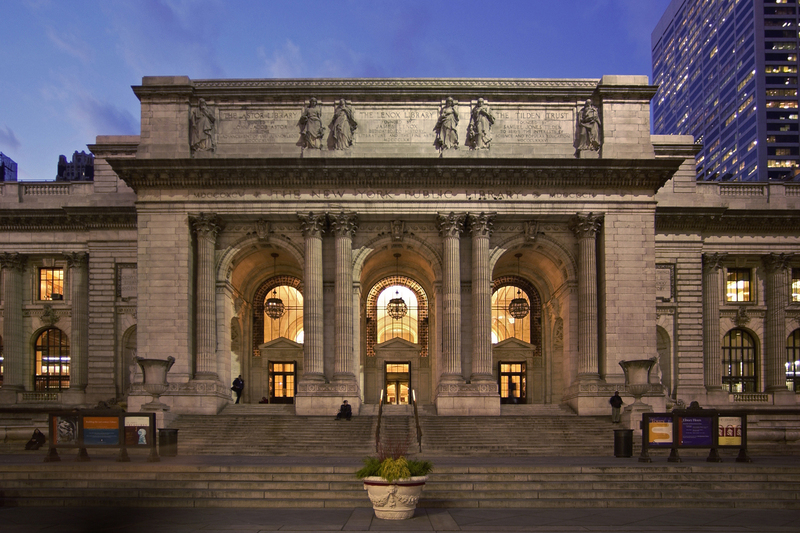 When it comes to literary events, NYC is an open book. From talks and signings to sales and festivals, the city appreciates the power of a good story—and so do its littlest residents. These storytimes for children will introduce them to new books and authors, and before you know it, they’ll be just as well-read as their adult counterparts. It’s also a great opportunity to get to know other families in your community. Playdates ahoy! 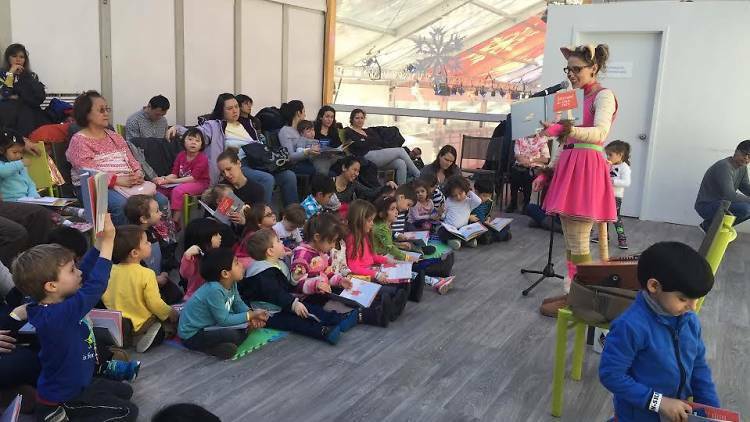 At NYC's annual Earth Day celebration in Union Square, tots (and their parents) can see live performances, participate in family-friendly DIY activities and watch as local environmentally conscious businesses put on various displays. 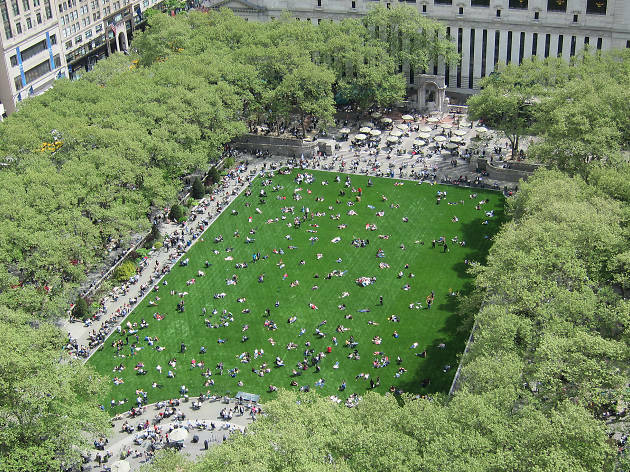 In NYC, this event is an Earth Day tradition. Experience the natural beauty of this 635–acre hidden gem in Queens without paying a dime—entrance to the grounds is free. 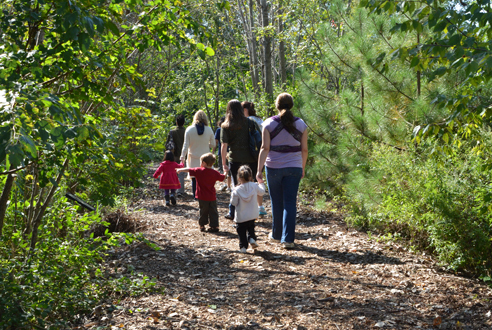 Once there, you can take a stroll on a forest trail, explore wetlands and marshes or simply enjoy the peace and quiet. More than 300 species of wildlife call Alley Pond home, so keep your eyes peeled for birds and other creatures. The center also offers a number of educational programs for kids and adults. 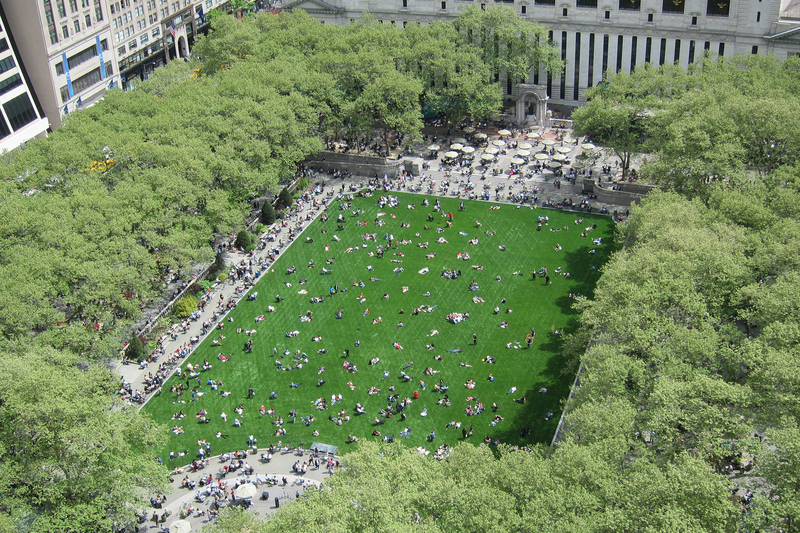 Green space isn’t as scarce as you might think—you just need to know where to look. These beautiful hiking trails will give your city kids a taste of the great outdoors, and you might even see some cool birds, frogs and bugs along the way. If you want to make a day of things, pack a bag with sandwiches and snacks so you can set up a picnic at the end of your adventure. 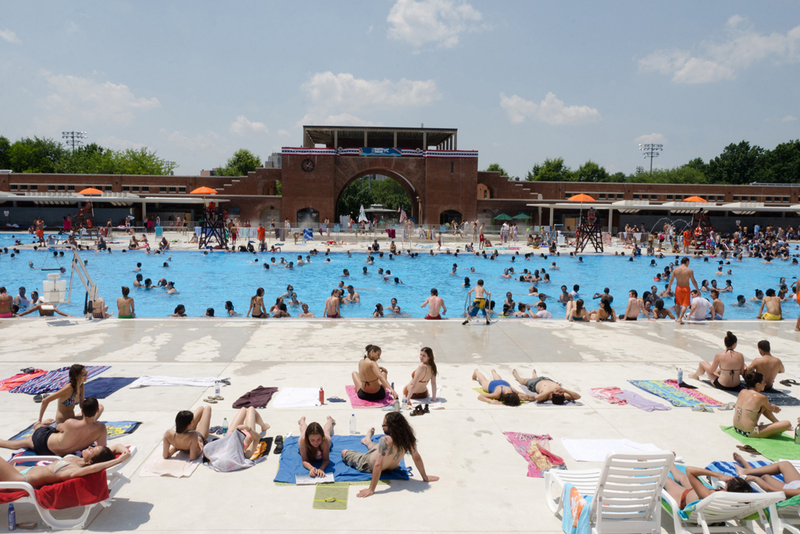 When summer is underway, NYC pools are the place to be. 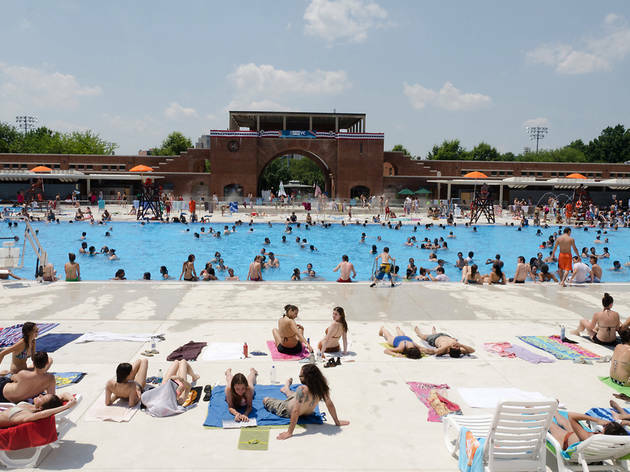 But before you can splash and play Marco Polo, you have to know the basics: That’s where the NYC Parks Department steps in. Free swimming lessons for all ages (adults included) are offered on a lottery-based system for recreation center members. 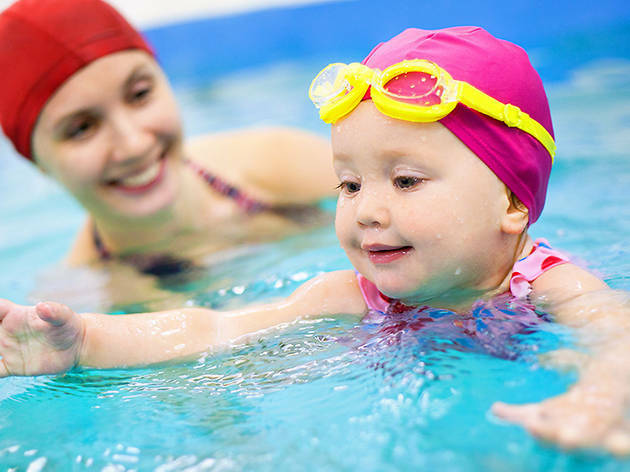 Various sessions are offered throughout the year, but since the competition is on for a summer slot, try opting for spring swim lessons. Rain or shine, families can enjoy the annual Museum Mile Festival in early June, gaining free access to some of NYC's coolest family institutions: The Metropolitan Museum of Art, Solomon R. Guggenheim Museum, Cooper Hewitt Smithsonian Design Museum, The Jewish Museum, Museum of the City of New York and El Museo del Barrio. 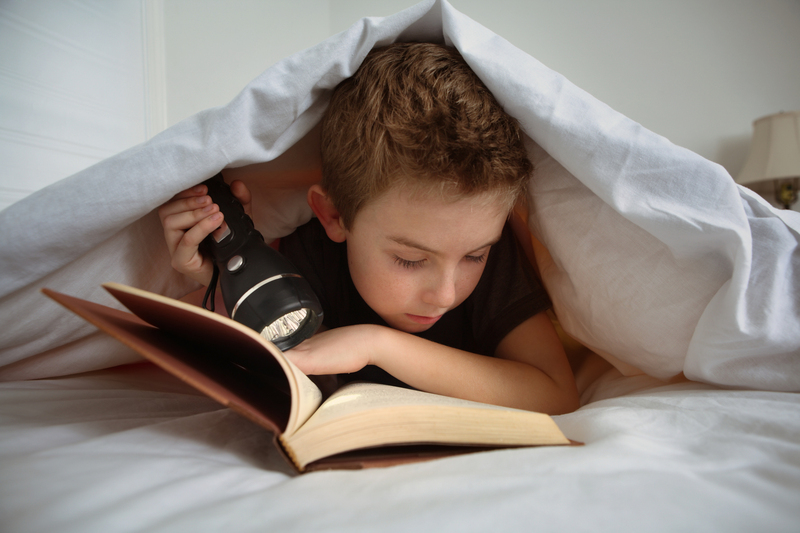 There’s nothing like getting lost in a good story. 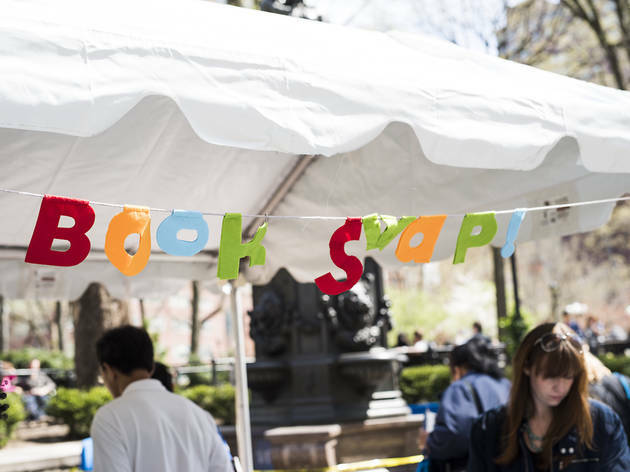 NYC’s indie bookshops offer a chance for young readers to immerse themselves in literature courtesy of fun book clubs. Kiddos will be introduced to new authors, genres and friends along the way. Although the books are not distributed for free, families can take out their child’s required reading from the library. 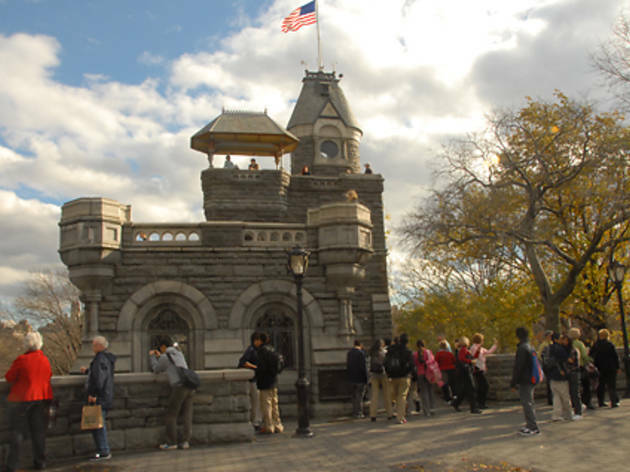 The historic district is home to gorgeous scenery, a taste of NYC’s past and fun things to do. 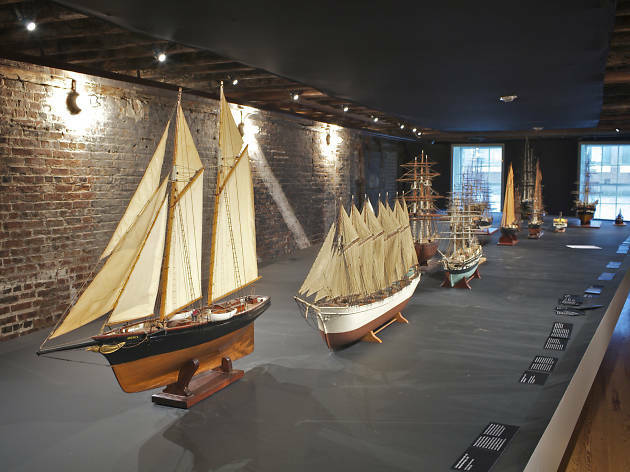 Walk through the cobblestone streets to admire the old ships that are docked at Pier 17 and the gorgeous NYC skyline. Make sure you peruse the Seaport’s website to keep up-to-date on free happenings, such as classes and performances. 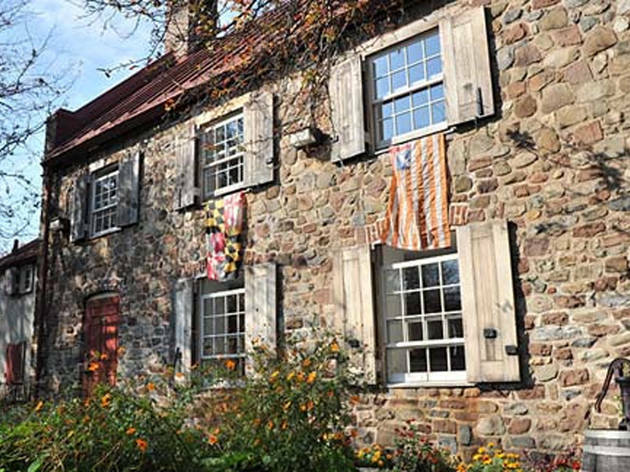 Kings County is brimming with things to do, but don’t forget to take a look at its origins. 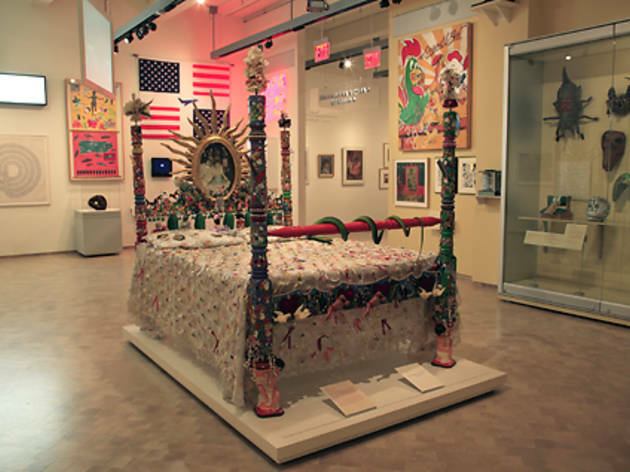 The Brooklyn Historical Society invites visitors once a month for a Free Friday programming dedicated to a particular theme. 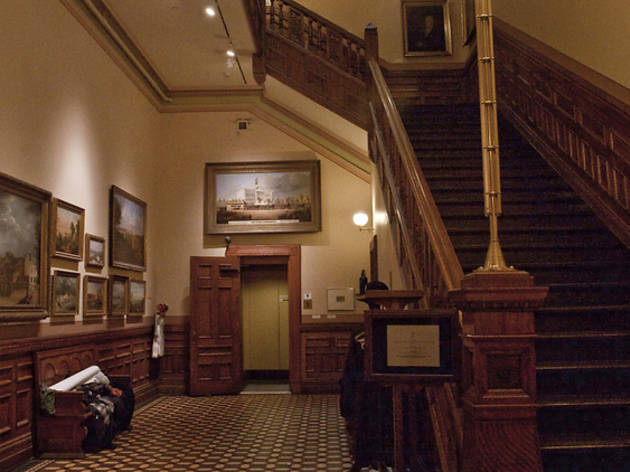 Patrons can enjoy tours, performances and extended hours during this monthly series. Families can explore this 175–year–old cemetery at their own pace with a handy digital app serving as a tour guide. Green-Wood Discover directs you to the best views, points out landmark monuments and tells the stories of the notable historic figures behind certain gravestones. 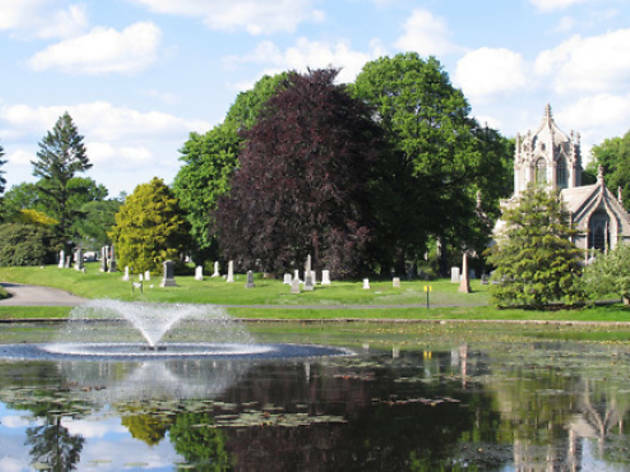 There are specific guided tours for a variety of interests, including Gardens and Trees, Architecture and The Civil War, plus songs and poems related to the cemetery. 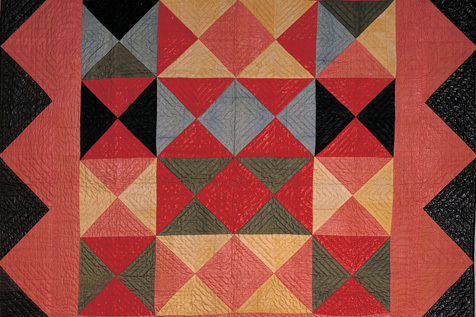 The American Folk Art Museum celebrates traditional craft-based work. 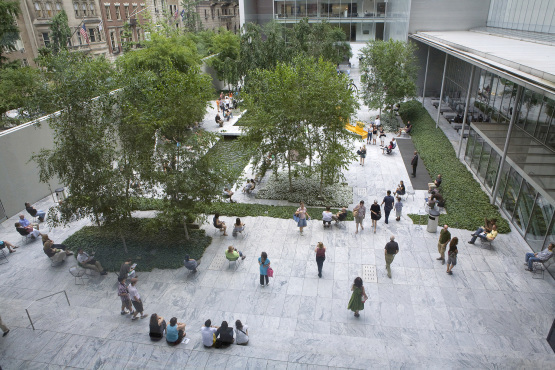 Designed by architects Billie Tsien and Tod Williams, the stunning eight-floor building is four times larger than the original Lincoln Center location (now a branch of the museum) and includes a café. 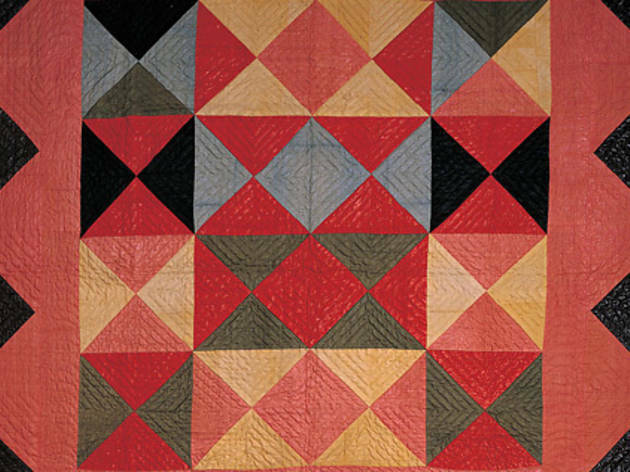 The range of decorative, practical and ceremonial folk art encompasses pottery, trade signs, delicately stitched log-cabin quilts and wind-up toys. Free family guides are available at the admission desk, and on the first Saturday of most months, the museum hosts a family tour and workshop that's free with admission. When the weather is nice, pack a picnic and head to this enchanting outdoor museum, where the views are as stunning as the sculptures and multimedia art installations. 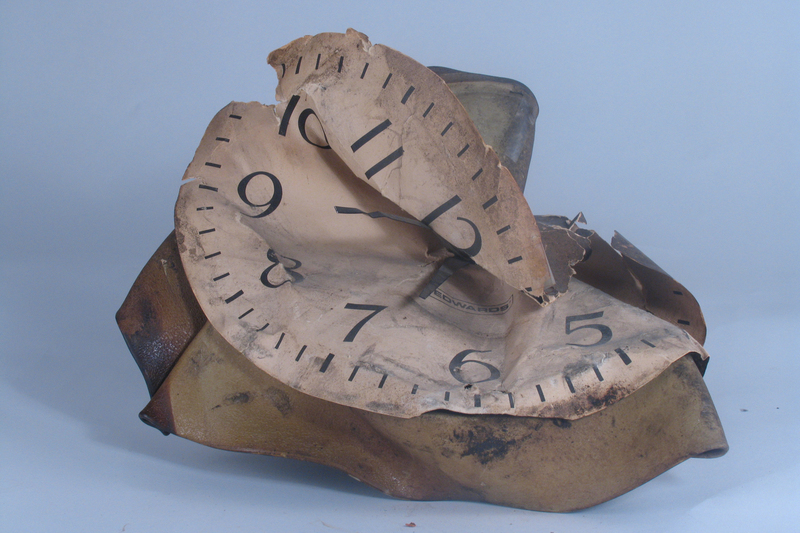 In addition to edgy exhibitions from sculptors and other visual artists, Socrates showcases up–and–coming talent in their annual Emerging Artist Fellowship Exhibition. While it’s open 365 days a year, port-o-potties are only available at the park from April through September, so plan accordingly. 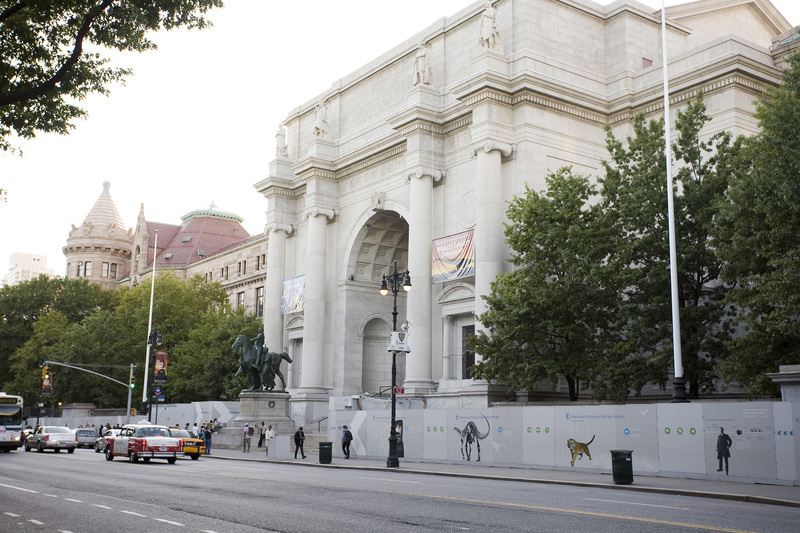 Plus, during spring and summer weekends, you can hop on the LIC Art Bus, a free shuttle that provides transportation to Socrates and several other nearby museums. Whether they pick them up from the sidewalk, on the way to school or plunge into a pile of them; brightly hued, crunchy leaves can provide hours of amusement for kids. This autumn, take the family for a stroll through these NYC parks, gardens and other locales to see the New York fall foliage at its most brilliant. 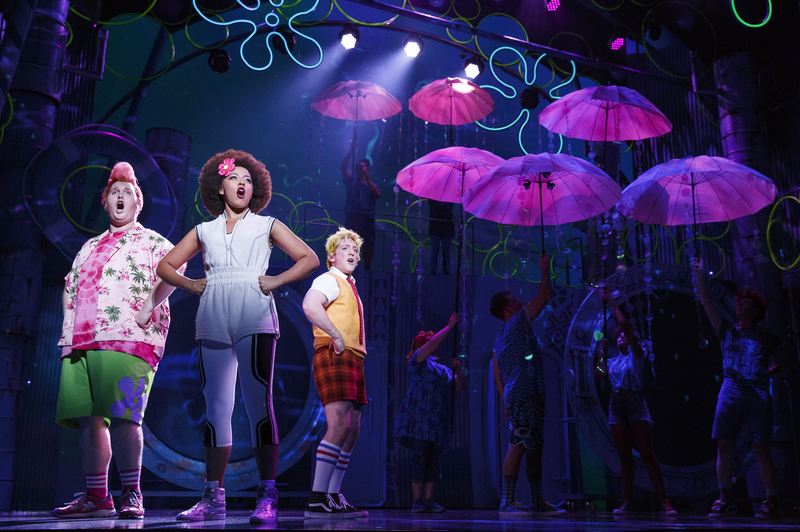 Kids' Night on Broadway is one of our favorite events of the year. 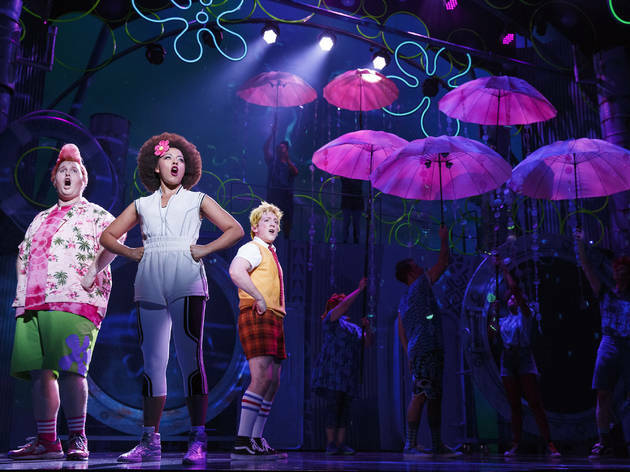 It means one fully-paying adult can have one child 18 and under attend a Broadway performance with them for free! The annual promotion is a must for theater buffs. Learn more here. 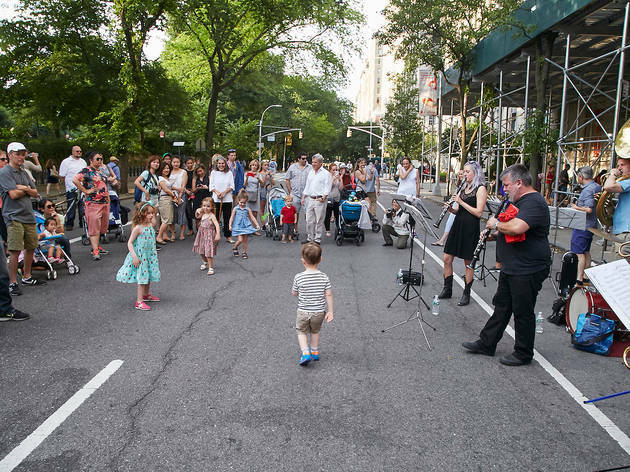 Although kids get teary-eyed at the thought of summer’s end—and we can’t say we blame them—there’s one reason to look forward to August’s arrival: Summer Streets. The first three Saturdays of the month—Aug 3, 10 and 17, 2019—are dedicated to car-free zones in NYC, which means cabs, buses and hectic traffic are detoured so that visitors can enjoy fun, free outdoor activities. It’s a great way to recharge and go back to basics. Leave the hustle and bustle behind—even if it’s just for an afternoon! 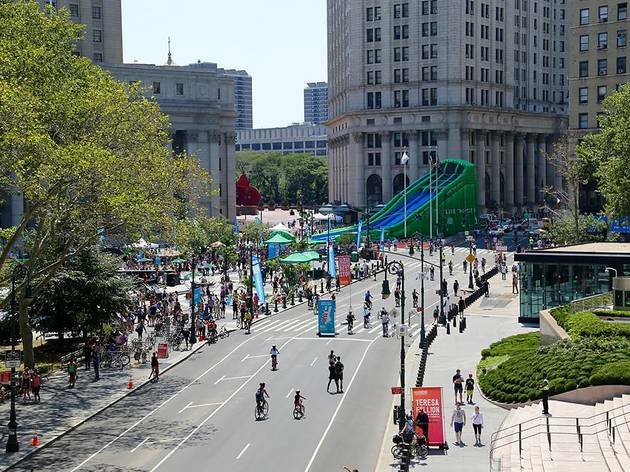 Although this year’s lineup is still in the works according to the Department of Transportation website, New Yorkers big and small typically look forward to activities such as fitness classes, biking routes, performances, food and much more. Since over 300,00 people join the car-free festivities, you’ll definitely want to put this event on your list of things to do. 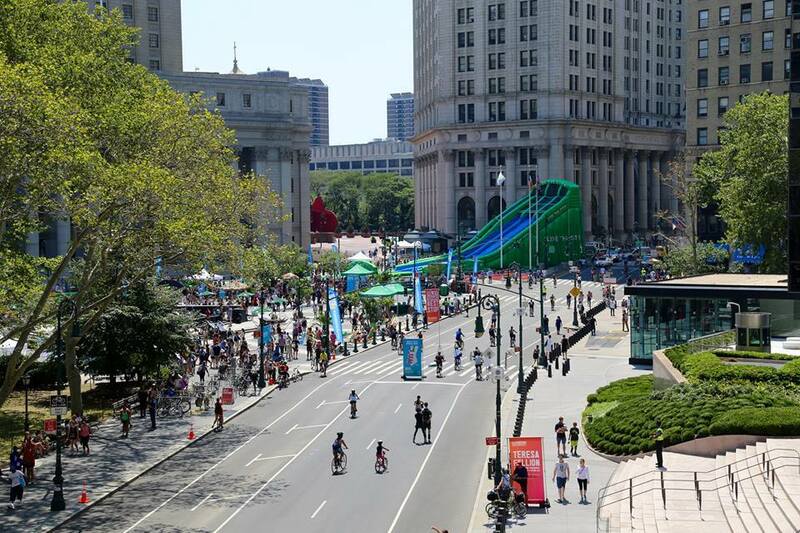 Summer Streets typically extends from Central Park to Brooklyn Bridge Park with routes along Park Ave and other connecting streets, all of which provide simple access from various points throughout the city. For more information and to keep on top of the vendor news, make sure to visit www1.nyc.gov. NYC really does have it all—even one-on-one time with nature. Thanks to fantastic free kayaking and canoeing offerings, a trip out of town to feel at one with your surroundings is no longer necessary. 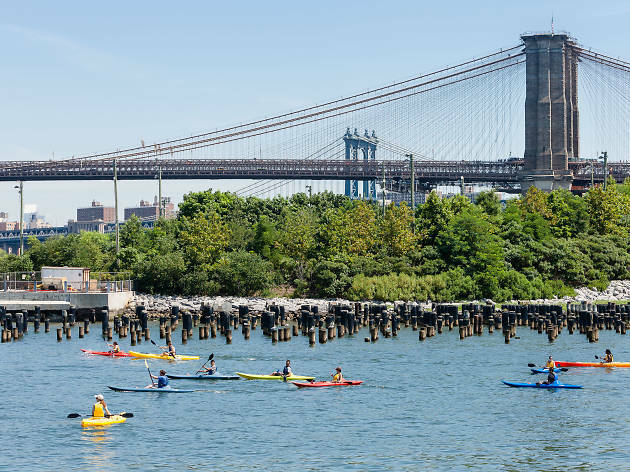 You can feel adventurous and nautical, all while taking in gorgeous scenes as you paddle throughout the boroughs. If you are searching for a family outing, this is one great way to take advantage of fun activities and save some dough (talk about a win-win situation). While we might not have the luxury of a backyard pool like our suburban friends, we still have a long list of awesome swimming pools for kids at our fingertips. Whether you're looking to do some laps around the pool or simply take in the scene, there’s truly a perfect watering hole that’ll cater to all tastes. And with all the free outdoor pools, splash parks and free summer activities for kids, boredom won’t have a chance to squeeze into your schedule. 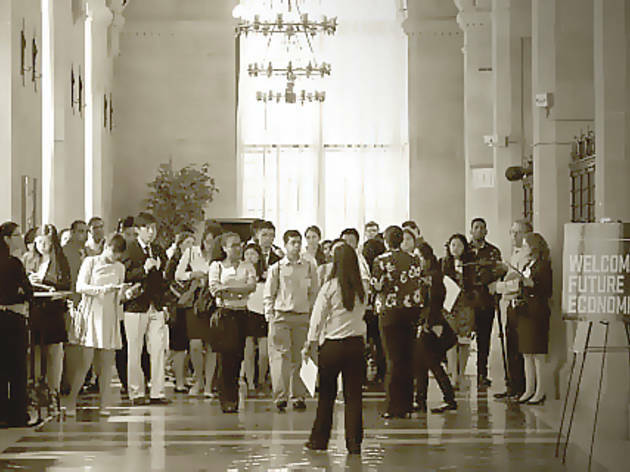 There’s nothing quite like the mystery of New York’s Federal Reserve Bank—good thing you and the kids (ages 16+) can check it out for yourselves during a free one-hour tour. Families will learn about the role of the New York Fed, the wider Federal Reserve System and the institution’s gold custody. Who wouldn’t be interested in learning about a vault containing hundreds of thousands of gold bars? Registration for public tours open 30 days prior to the requested date. 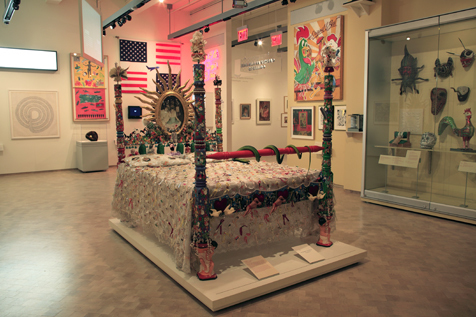 El Museo del Barrio offers free family programming every third Saturday of the month! When you come to celebrate, be prepared to party in a way that celebrates Latino culture—whether through art-making workshops, concerts or story hours. Holidays also get incorporated too, like Dia De Los Muertos! The event is super popular, so be sure to get there early! 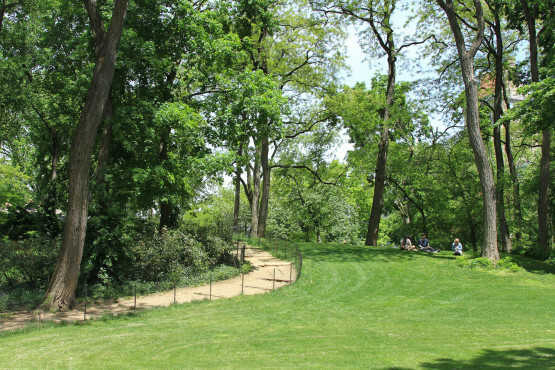 Get a taste of what life was like for families during the 18th century during your next trip to Prospect Park. The homestead, located near the park’s Willink entrance at Flatbush Avenue and Empire Boulevard, features period rooms that offer a glimpse into the past, a working garden and hands–on activities for kids like candle–making, butter–churning and sewing. 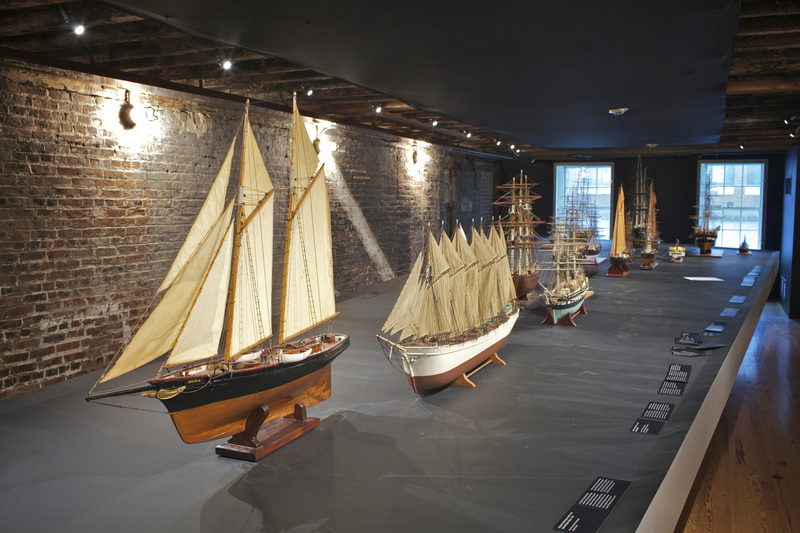 You can also explore the museum’s collection of traditional tools, toys and artifacts. 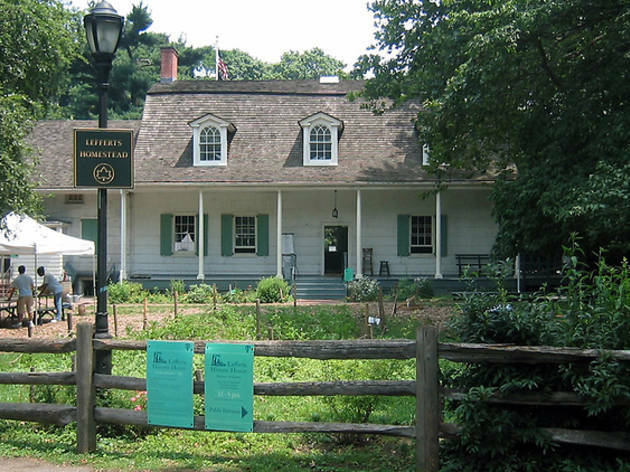 Admission to the Lefferts Historic House is by suggested donation ($3). 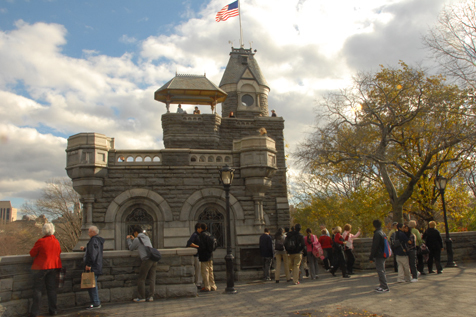 Hours depend on the season, so check the Prospect Park website for specific details. 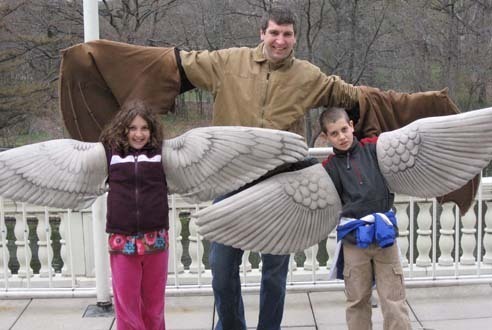 Located in Prospect Park's early-20th-century Boathouse, the Audubon Center is devoted to wildlife preservation and education and contains the park's visitor's center, a café and an exhibition area. It is the first urban Audubon center in the United States. Catch one of its recurring free events like Introduction to Birdwatching or The Night Sky to really get in touch with nature! 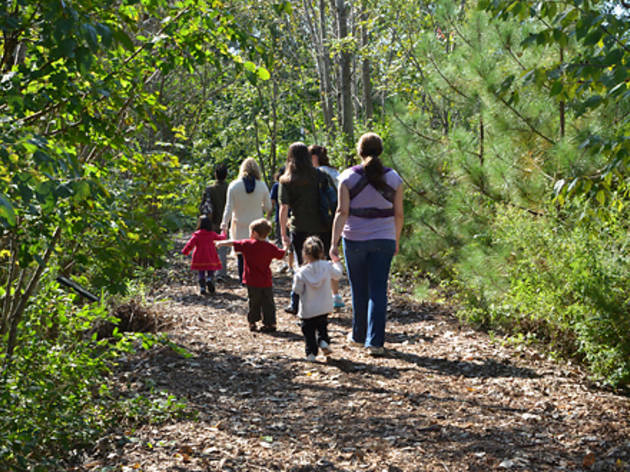 Wave Hill offers a chance for tiny tots (typically ages 3 and up) to get their creative juices flowing while using nature as their inspiration. 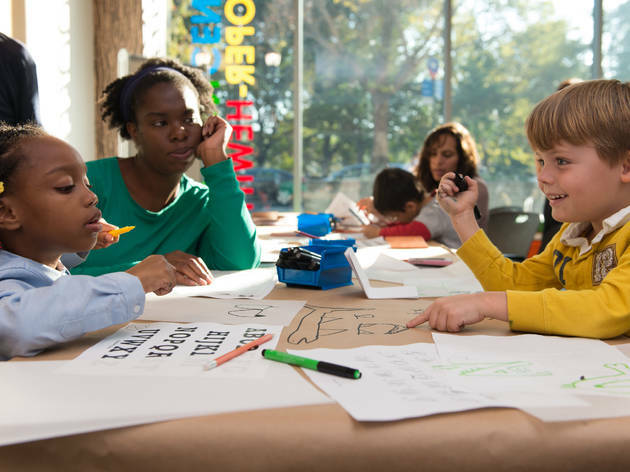 During the weekend family art projects (Saturdays and Sundays from 10am–1pm), kiddos get to piece together a masterpiece of their own, some of which focus on plants, others focus on animals, seasons and so on. 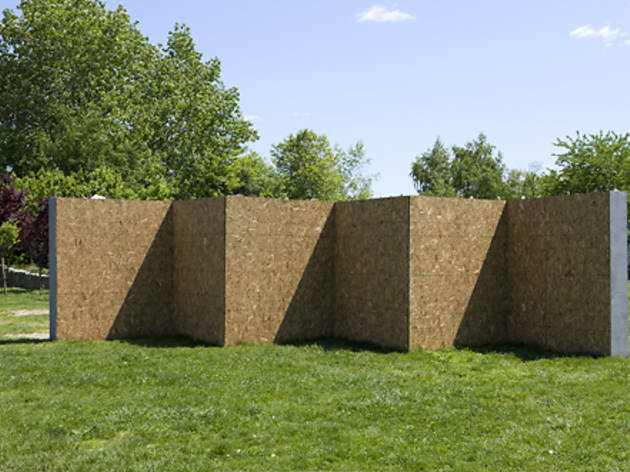 Although the venue typically charges general admission prices for entrance, visitors can head to Wave Hill on Saturdays from 10am–noon for free. After the class wraps up, stay on the grounds and admire the gorgeous scenery. 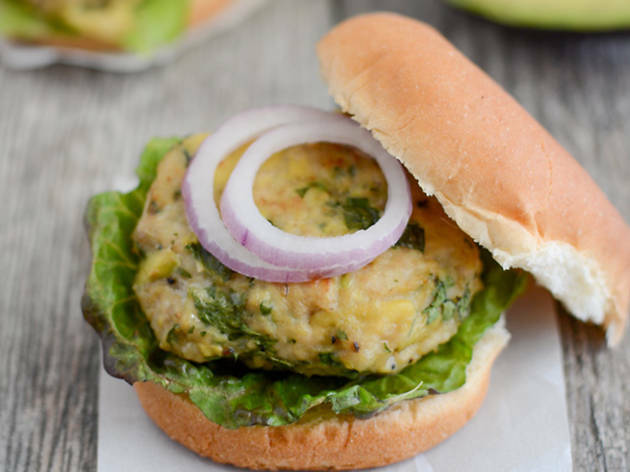 Finding easy recipes for kids just got even easier thanks to these food bloggers. Yummy dishes from Heather Christo, Foodie with Family, The Lean Green Bean and others will have kids and grownups coming back up for second helpings. 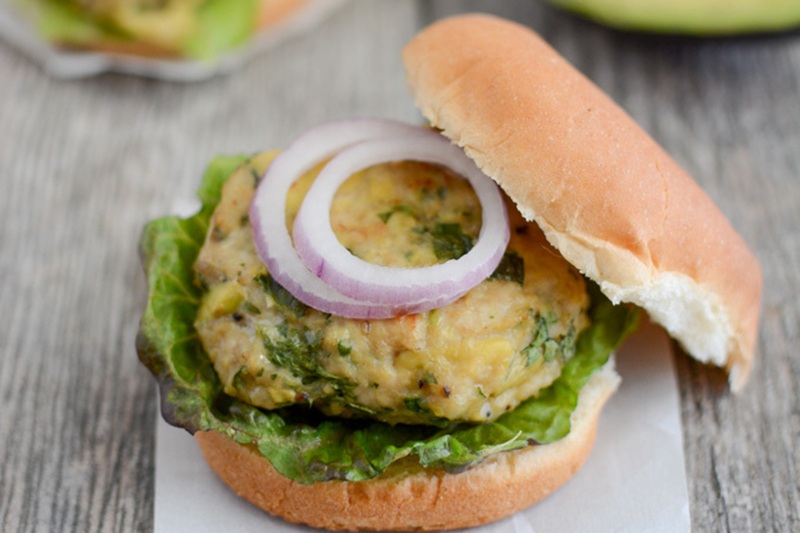 If you’re lucky enough to have any leftovers at the end of the day, just pop ‘em in the freezer for a quick heat-and-serve meal the next time around. Several kid-friendly museums are always gratis (or pay-what-you-wish), and tons more offer special free museum days. 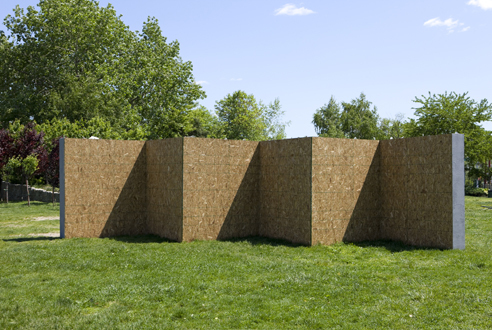 Exploring cool installations is one of our favorite free things to do with kids, so check out our list and get going! 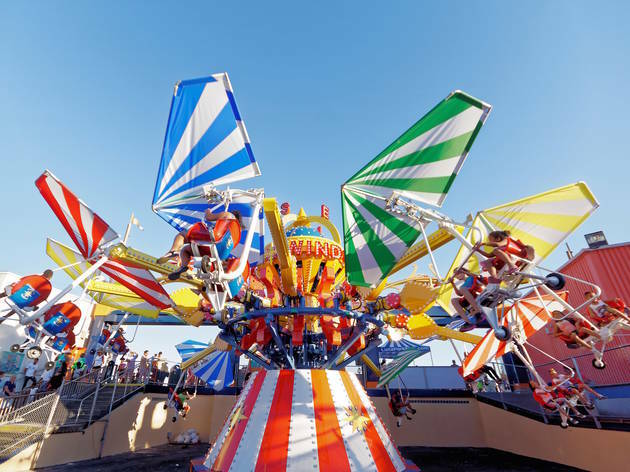 One of our favorite family attractions just revealed a super-cool perk for 2019, and we're totally on board. 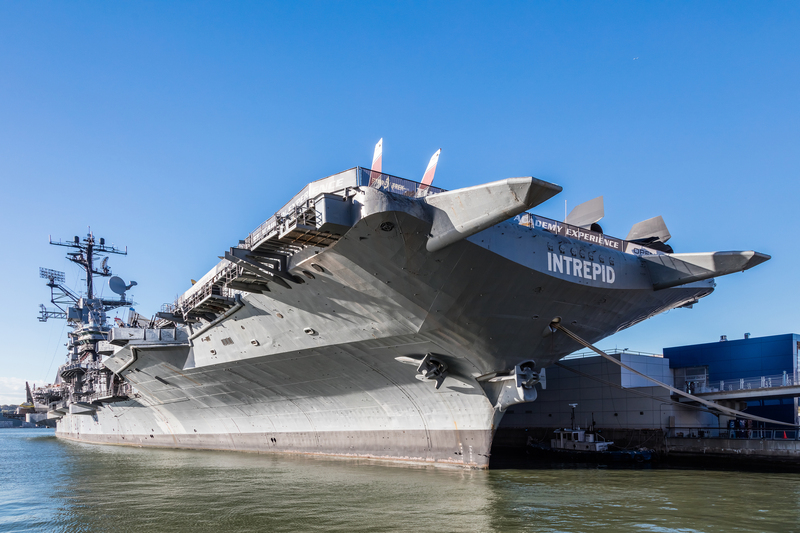 In efforts to increase community engagement, the Intrepid Sea, Air & Space Museum will launch a new Free Fridays series on April 26. Luckily, there are plenty of opportunities for patrons to participate. 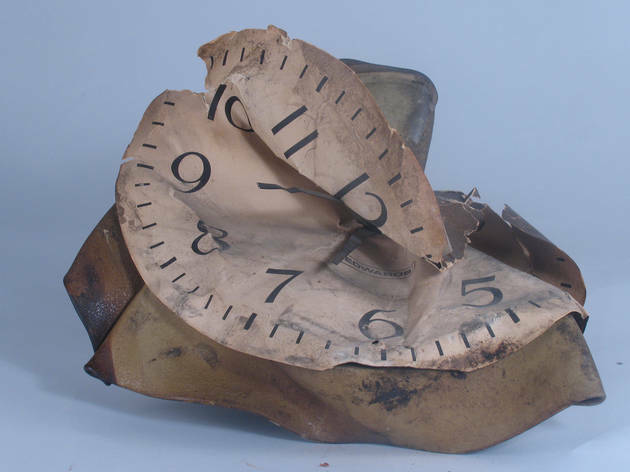 From April until October, one Friday each month will be free from 5–9pm. (General admission is $33 for adults and $24 for children ages 5–12.). While visitors will have access to the flight deck, awesome scenes and indoor exhibits, there are a few more bonuses to look forward to with this new series, including performances, educational talks, film screenings and telescopes for stargazing, which will be a hit over the summer. The schedule is as follows: April 26, May 31, June 21, July 19, Aug 16, Sept 27 and Oct 25. Even better? There will be a variety of different programs unique to each session. For the inaugural event, visitors can explore the Intergalactic Travel Bureau, learn about satellites at the Space Shuttle Pavilion for Innovators and so much more. There's also an opportunity to watch Dunkirk from the flight deck (which definitely beats a small screen at home) on May 31. All activities are available on a first-come, first-served basis, so make your way to the ship ASAP. 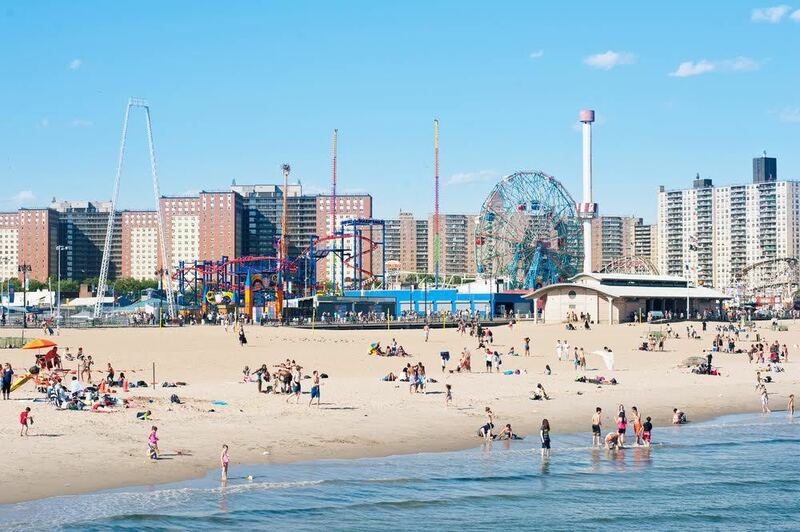 Looking for the best beaches near NYC? Try these stellar local spots (and a handful just a bit farther away) to spend a day splashing in the water and building sandcastles to your heart's desire! 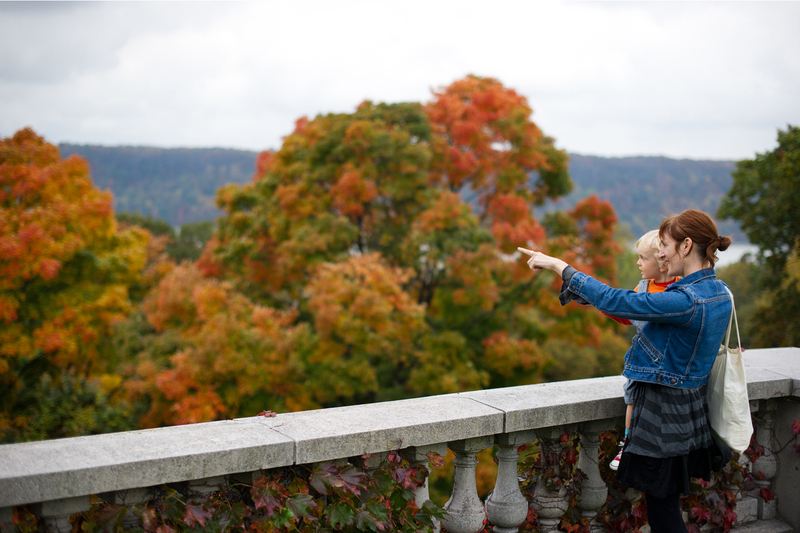 Many of the spectacular picks on our list are accessible by Metro North or LIRR so you don’t need a car to get there, making it one of our favorite free activities for kids. Long considered one of the best free things to do in the Big Apple, a ride across the New York Harbor on the Staten Island Ferry is still a great, family–friendly way to take in some stunning views. 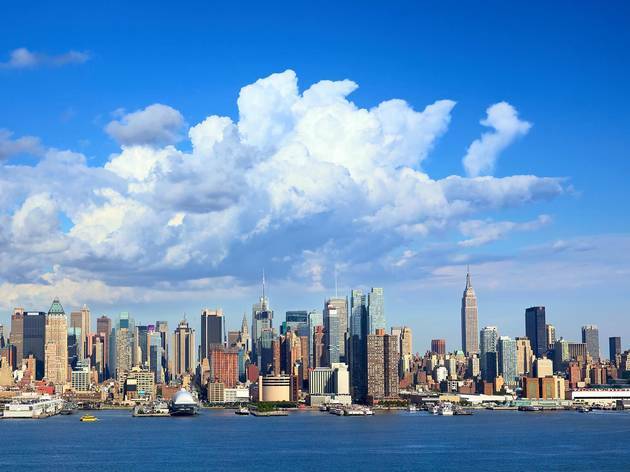 The hour–long round–trip offers glimpses of Lady Liberty, Governor’s Island, the lower Manhattan skyline and the Brooklyn Bridge; move from one side of the boat to the other after the first leg of the journey to get the full tour. Making things even easier, the ferry runs frequently enough to pretty much eliminate the need for careful planning. Just show up and hop aboard! Be advised that it gets windy on the water, so bring an extra layer, even on warm days. 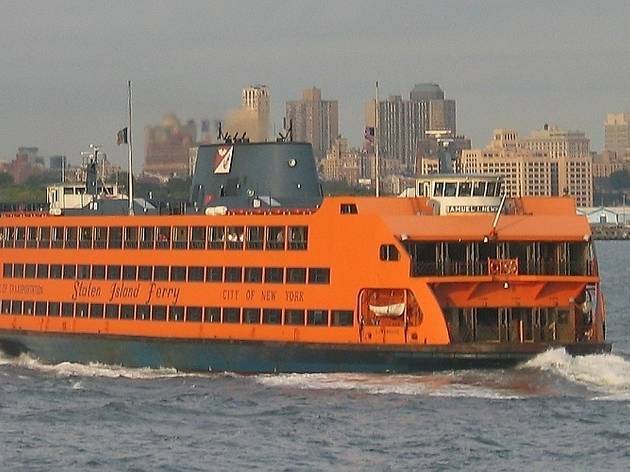 The Staten Island Ferry departs from the Whitehall Terminal in lower Manhattan and the St. George Ferry Terminal on Staten Island. You can fish in the Hudson River for free during the summer—just don’t try to eat your catch of the day. 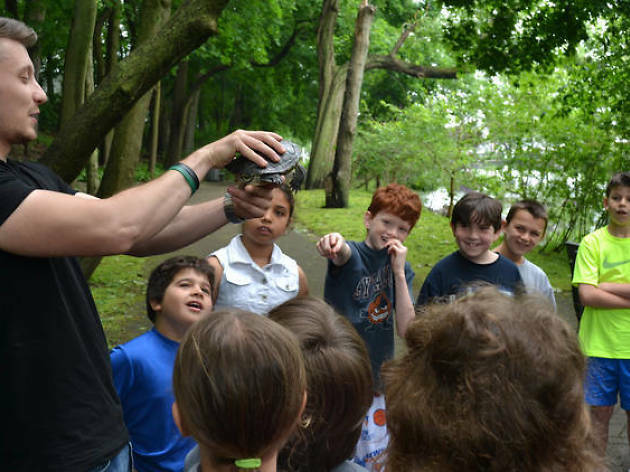 In addition to formal fishing instruction from Big City Fishing, kids ages five and older will get a lesson in the ecology and biology of the Hudson River and its species from environmental educators. All fishing equipment, including rods, reels and bait, are provided. Om! It’s never too early to introduce little ones to yoga, especially at Karma Kids. 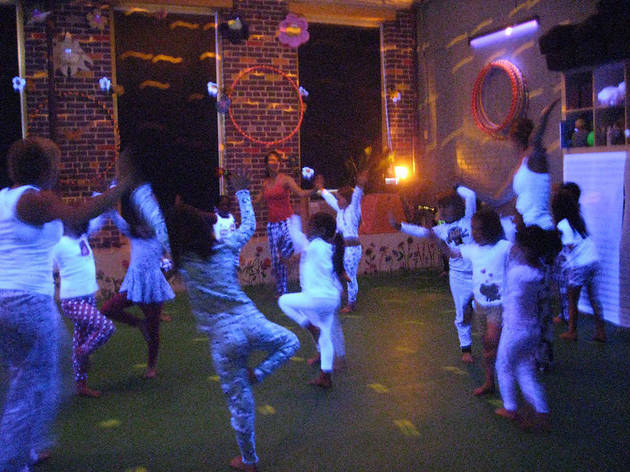 The tot-friendly venue invites the youngest members of your clan (0–6) to stretch and find their zen. But the poses are made simpler for the younger set thanks to an integration of fun activities, such as sing-alongs, puppet shows and stories. 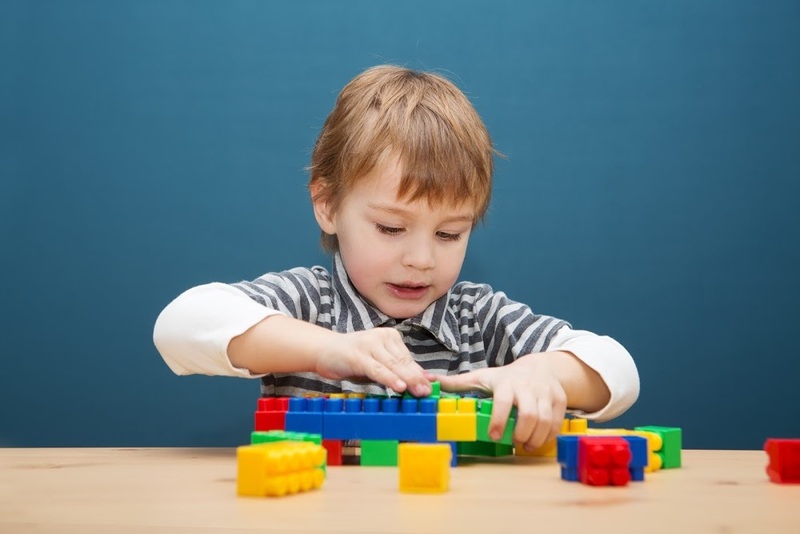 For 30 minutes, it’s a great way to keep the little ones entertained with everything that they love. 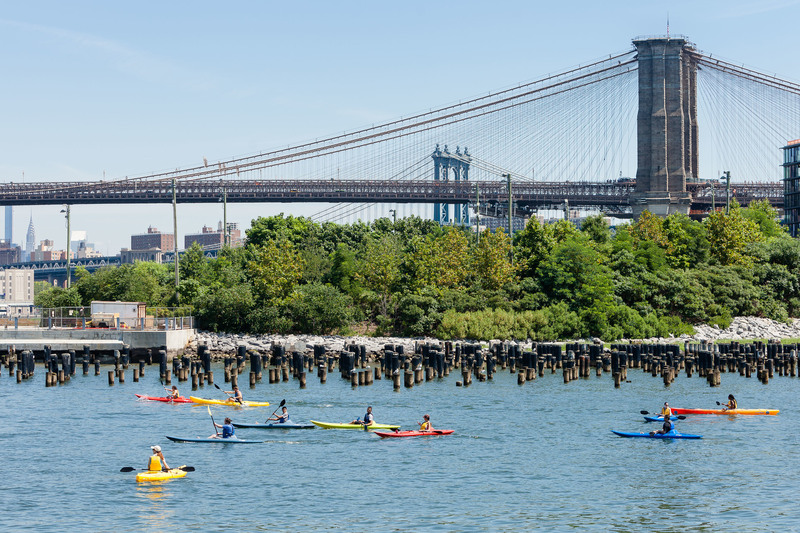 Our parks in NYC are a treasure in this concrete jungle, and we’re lucky to have a wide-range of options—1,700 within five boroughs, to be exact. Of course, certain green spaces are more peaceful and verdant than others, but all of the parks listed here offer amazing things to do outside. 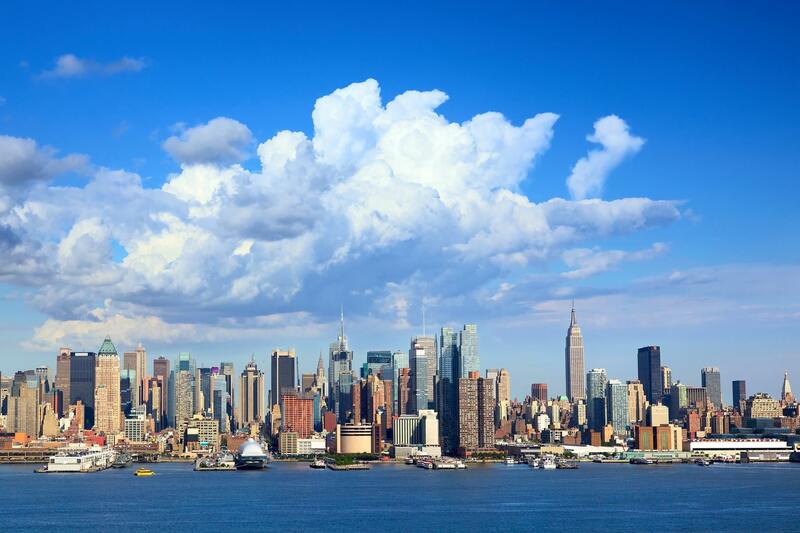 We’ve compiled a list of our favorites featuring stunning, picturesque views of New York and prime picnic spots. 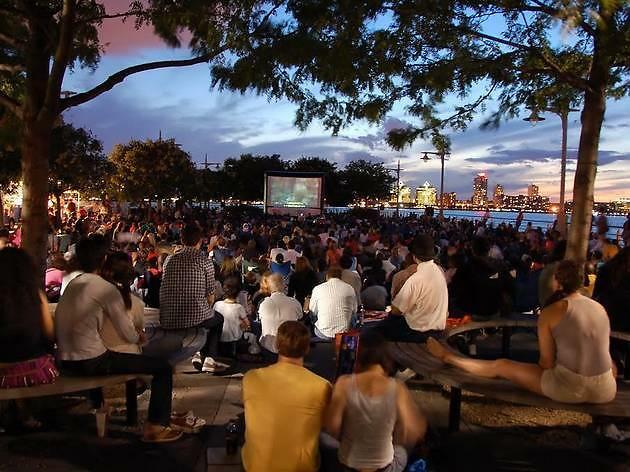 Plus, these New York attractions offer seasonal programming and free things to do, some of which include incredible summer concerts, outdoor movie screenings, food festivals and more. For those youngsters who are too intimidated to test their hypotheses, this traveling science festival offers hands-on experiences that’ll engage, entertain and make kids rethink their favorite subject in school. 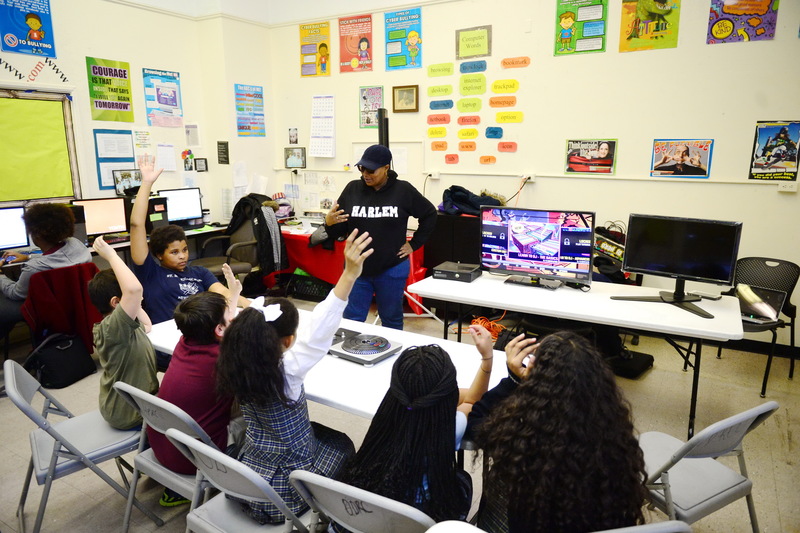 The interactive event, the brainchild of the World Science Festival and Con Edison, offers demonstrations and activities in a wide range of areas, including astronomy, biology and more. 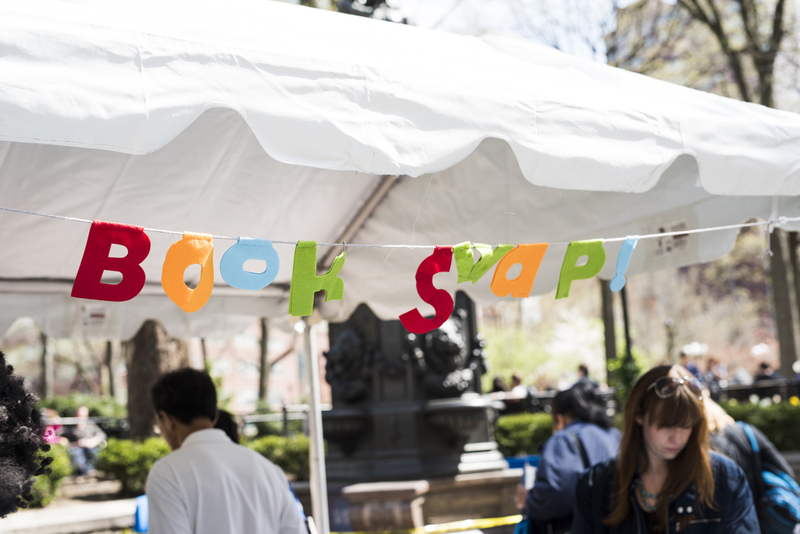 The festivities pop up several times a year throughout the five boroughs, so be on the lookout for the next City of Science! 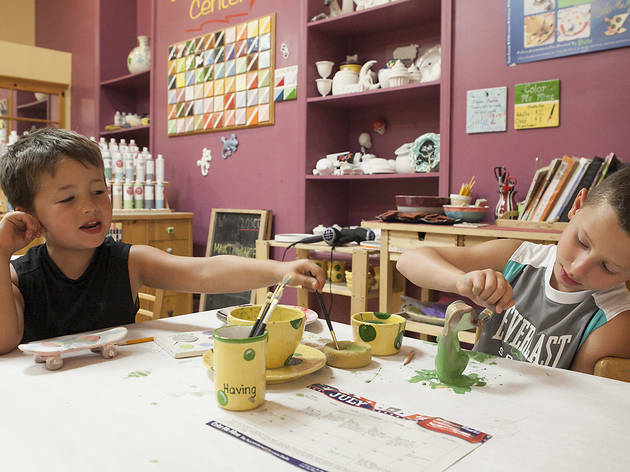 There are so many great playdate ideas for kids in NYC, from visiting an awesome children's museum to taking hands-on cooking classes. Every now and then, we set up local youngsters for fun-filled outings to see if they hit it off. Check out some of the brave pairs we've introduced and see if they became friends after spending time together in NYC! Want to get set up? 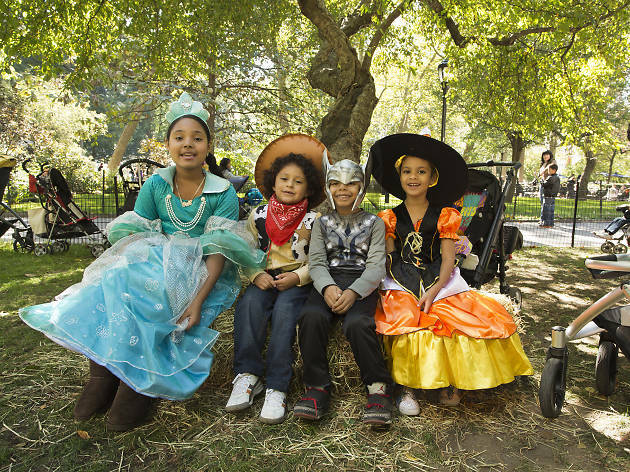 Email us at kids.ny@timeout.com with "PLAYDATE" in the subject line. Please include your child's name, age, borough and a little bit about them! Kids must be a NYC resident (and ideally 6 and up) to participate. 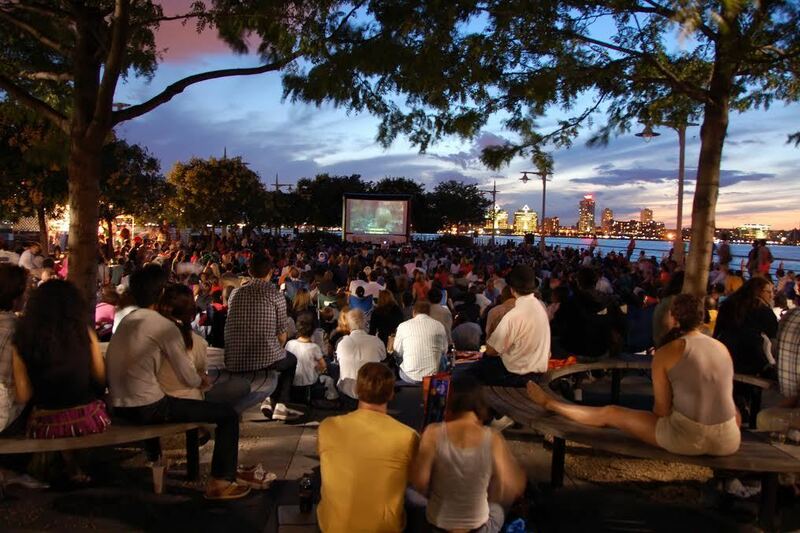 In summertime, outdoor movies (all free!) are a great new twist on your usual living room movie nights! 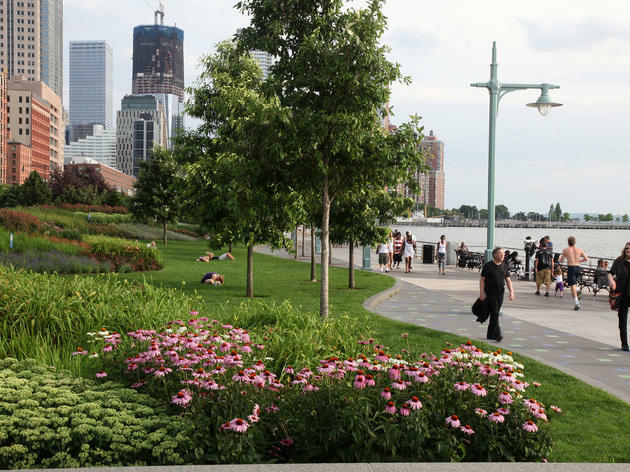 Pack a picnic and your folding chairs and head for these amazing parks, piers and rooftops. Bringing your family out for dinner in the city can be pricey, to say the least. 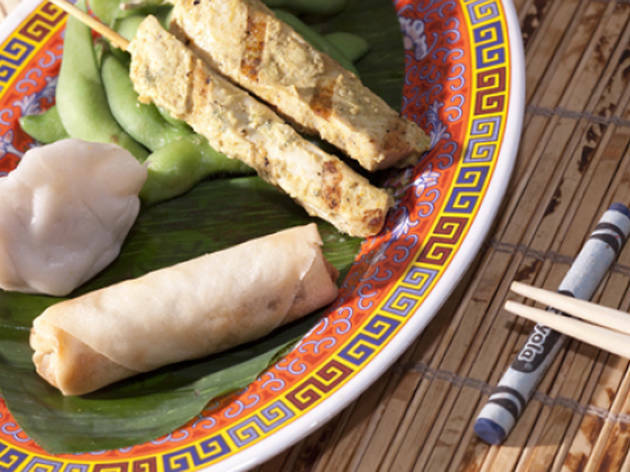 These NYC restaurants take the big bill out of the equation by offering free (and awesomely tasty) meals for kids in all the best family restaurants. Time to chow down! 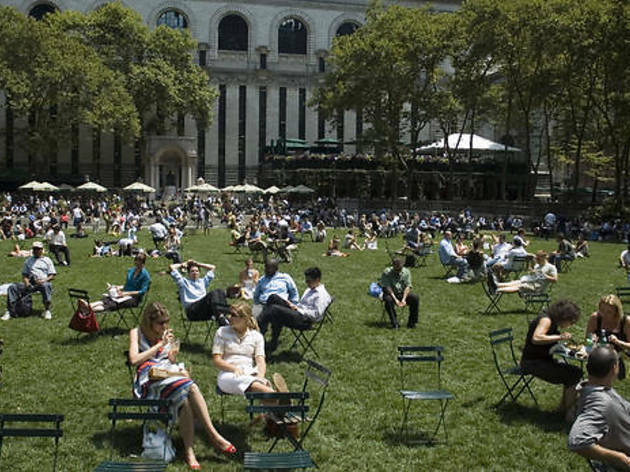 Whether it's story times, crafts, games, a putting green or table tennis, Bryant Park is a go-to in the summer season for free family-friendly fun. 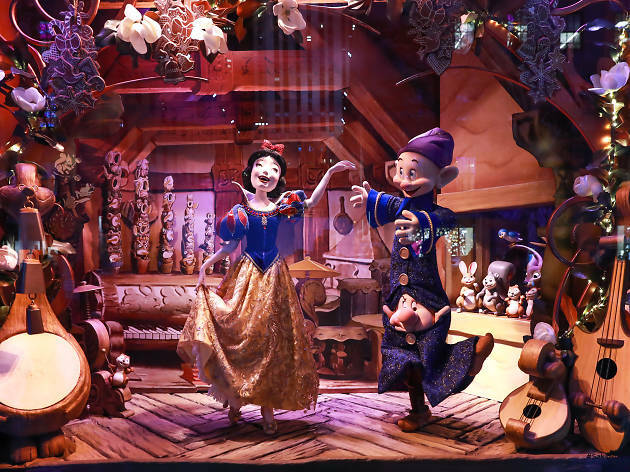 Ready to ogle some gorgeous Christmas window displays? We know, searching for the best NYC gifts can be nightmarish at times—especially if your list forces you to combat the inevitably tourist-packed realm that is Fifth Avenue. 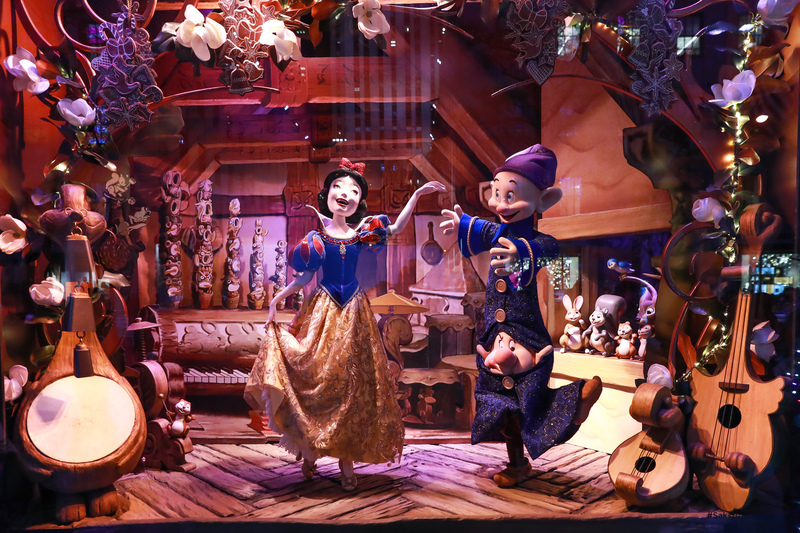 But there’s an upside to navigating these painfully busy streets at this time of year: You get to peep department stores’ ornate window displays and pretty Christmas lights. In fact, some of them are so impressive, they might be reason enough to stroll through midtown. 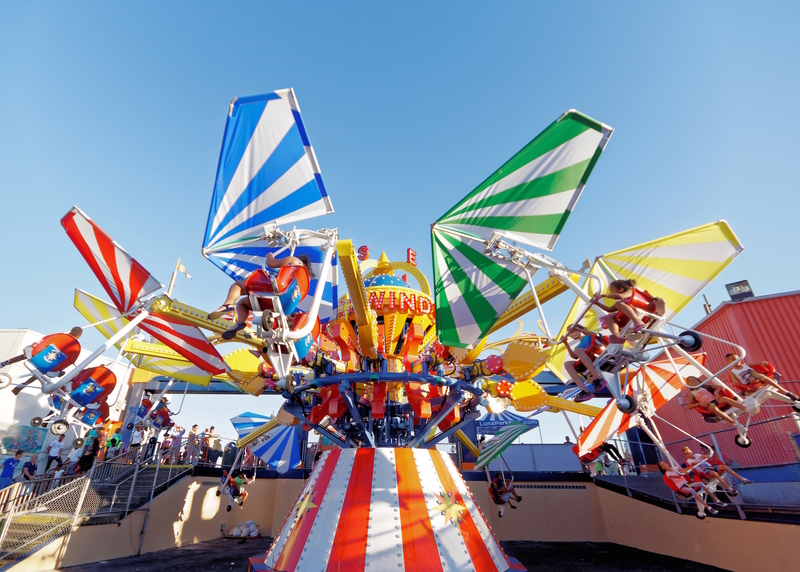 NYC's favorite amusement park makes this season all the more sweet with a stellar offer. If your kids worked hard all year, it's time to let them reap the benefits. 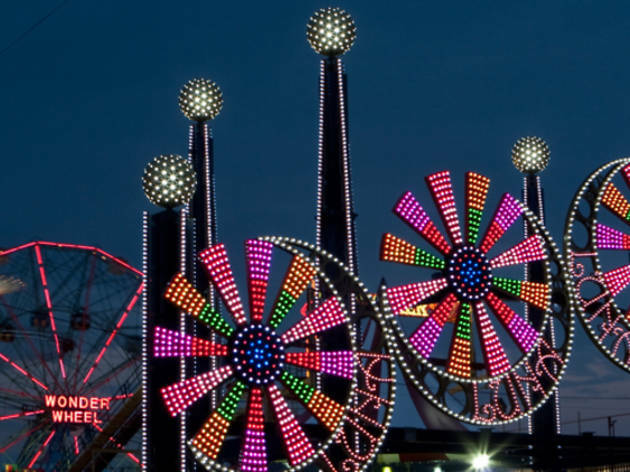 Students in kindergarten through college can earn free ride credits at Luna Park for good grades every year. Learn more here.